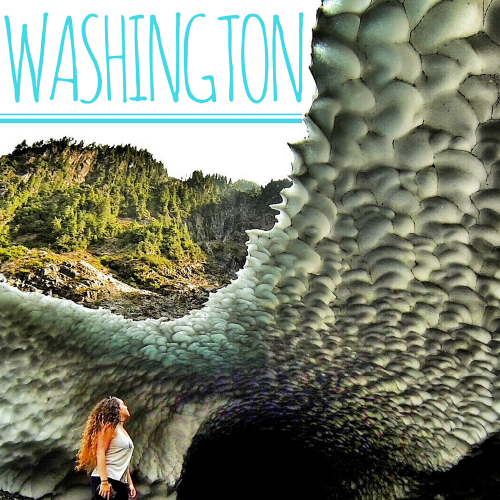 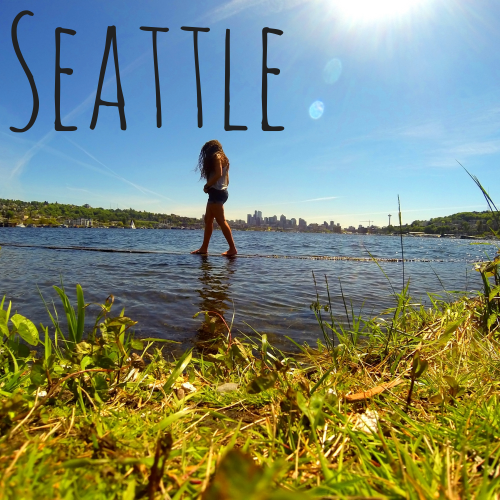 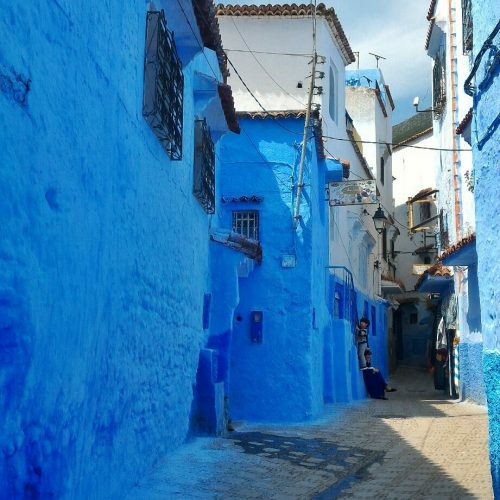 This entirely blue city will leave you feeling like you’re in a fairy tale. 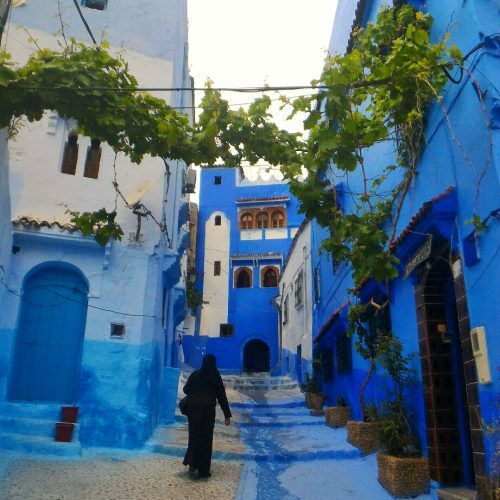 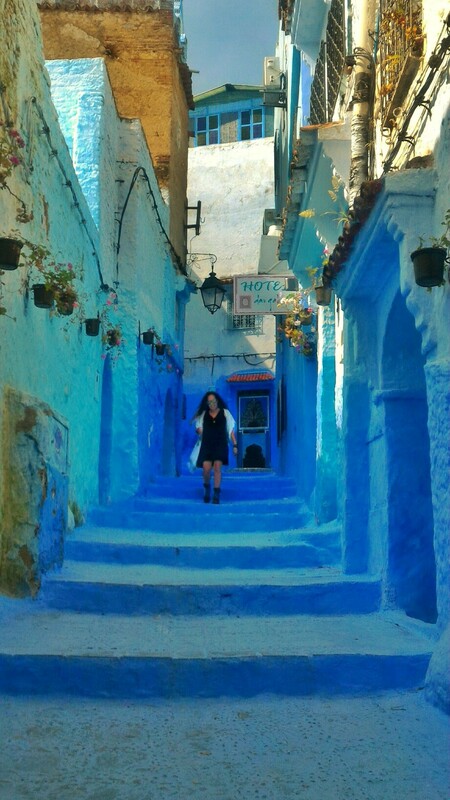 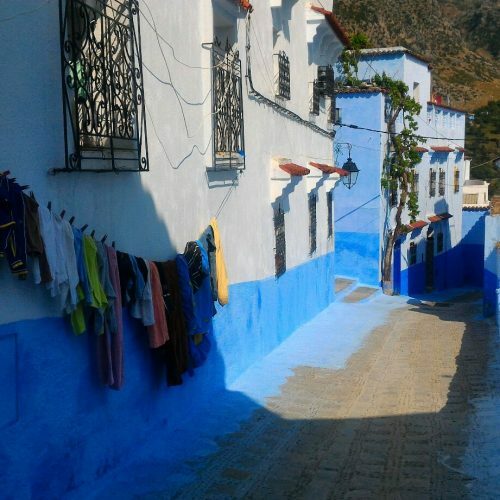 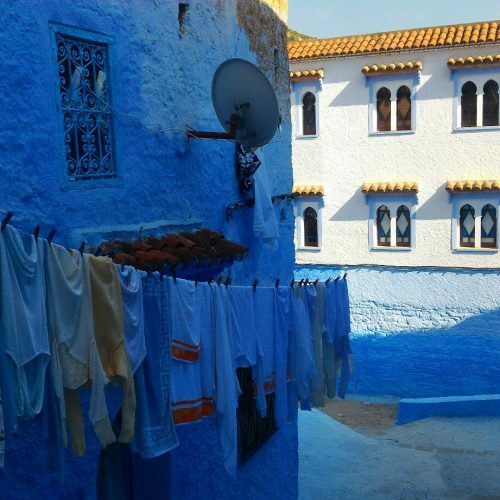 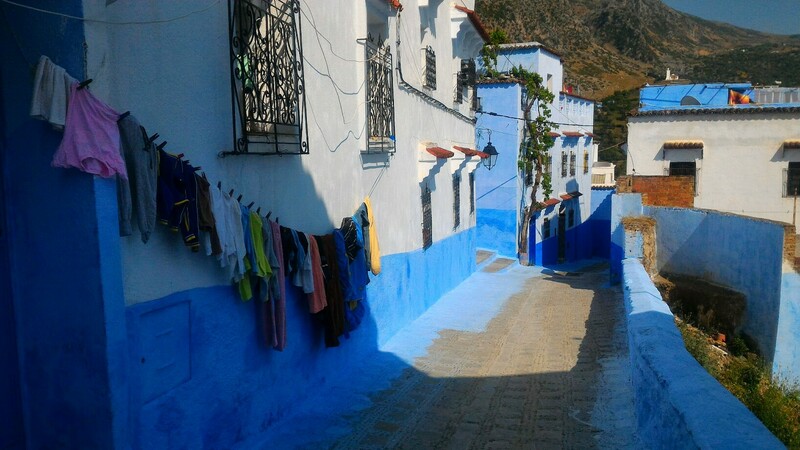 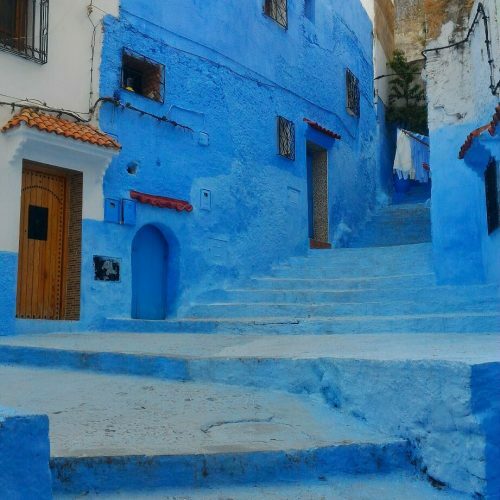 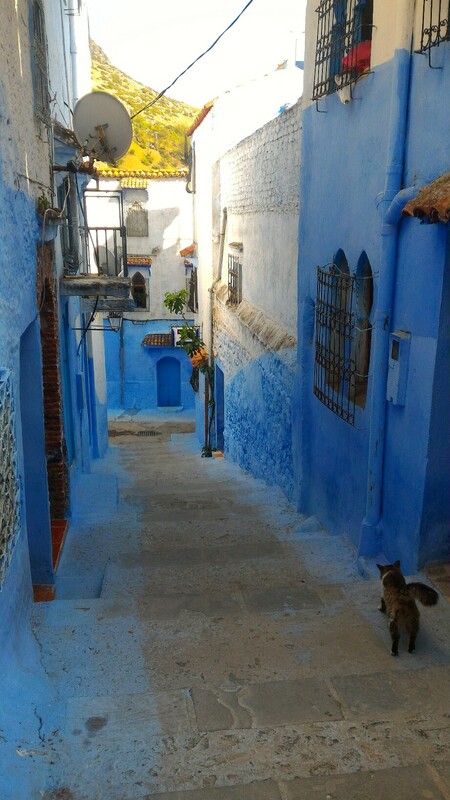 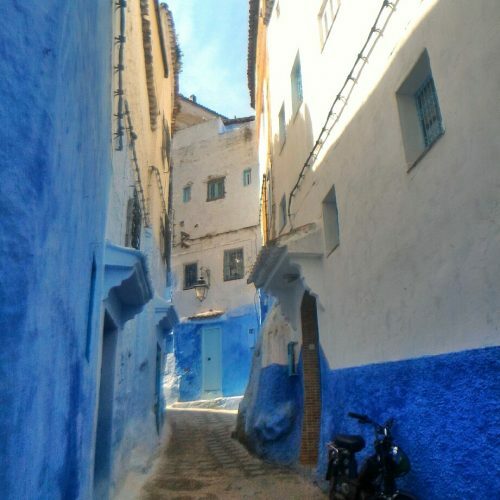 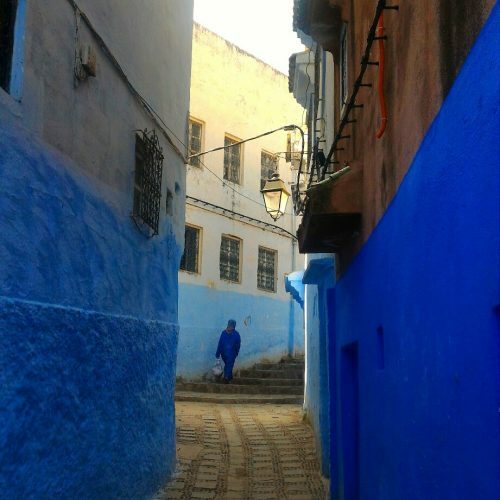 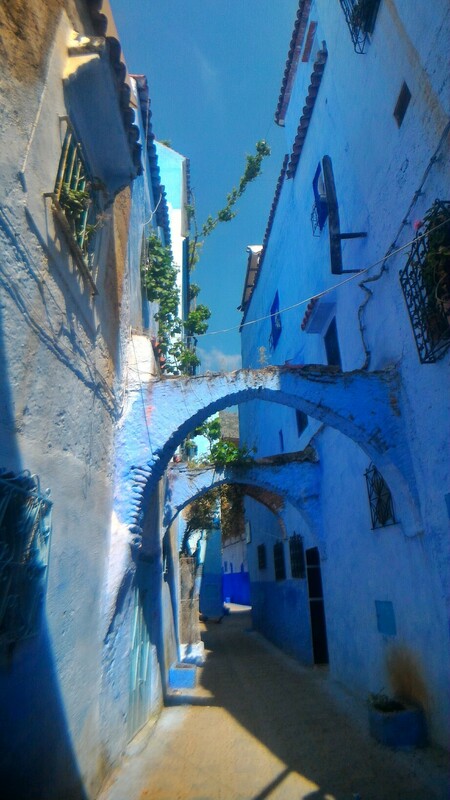 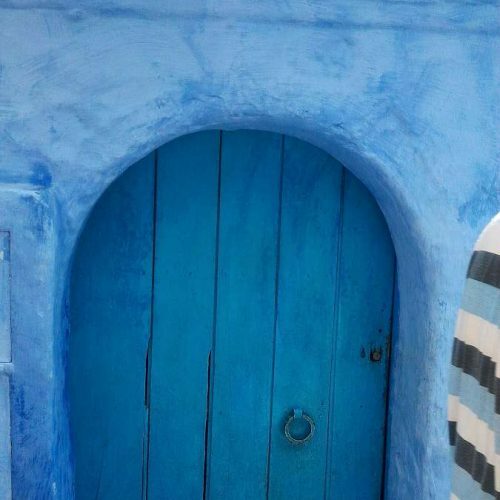 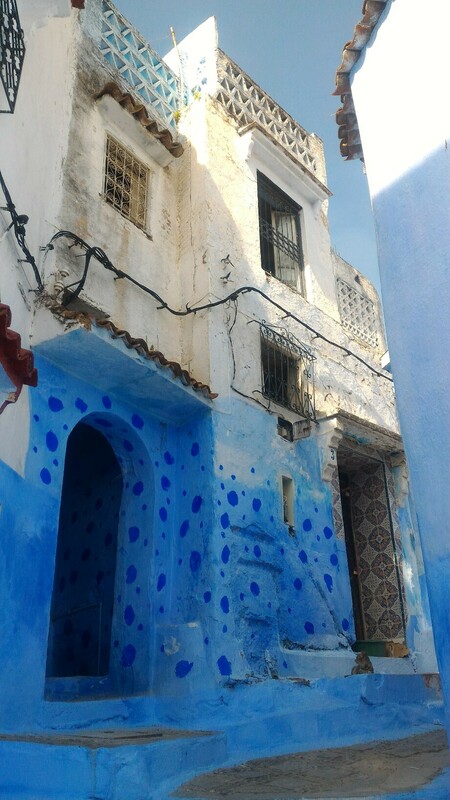 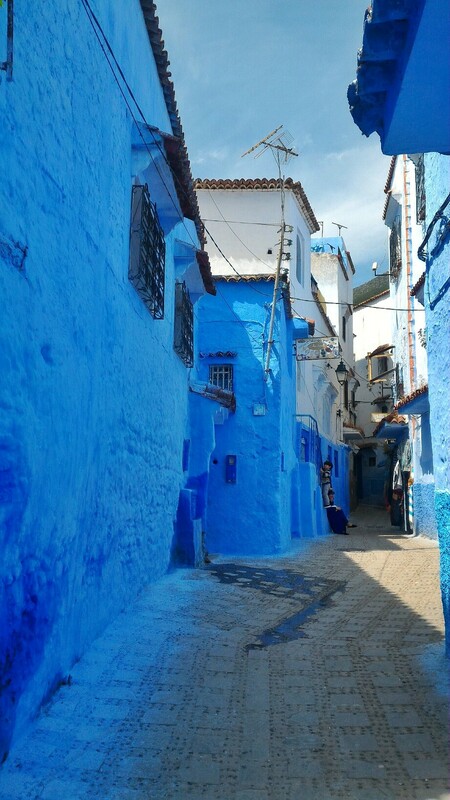 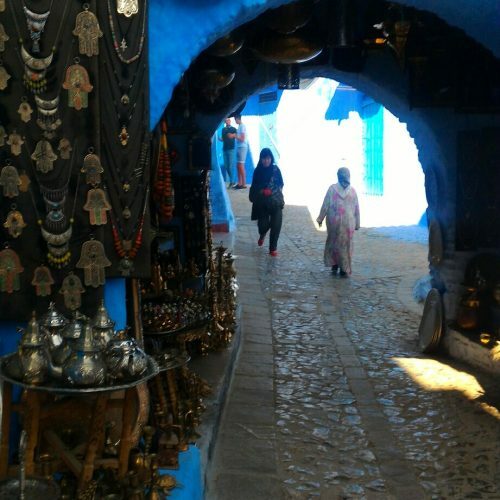 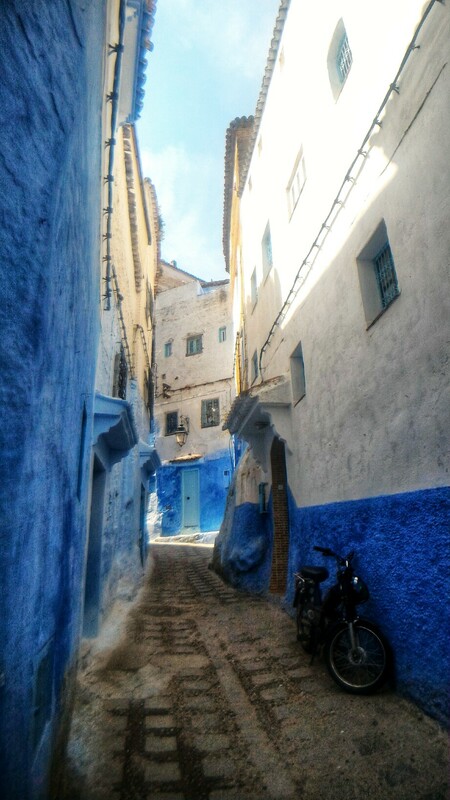 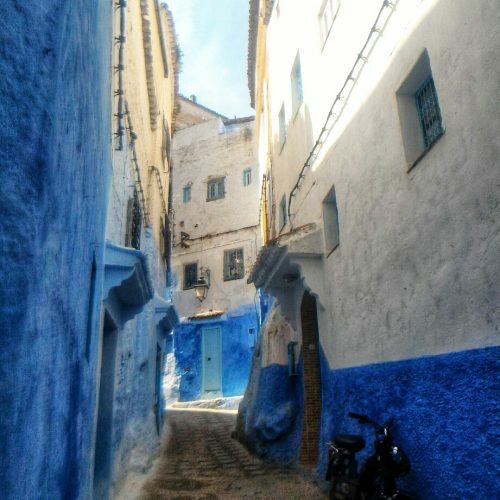 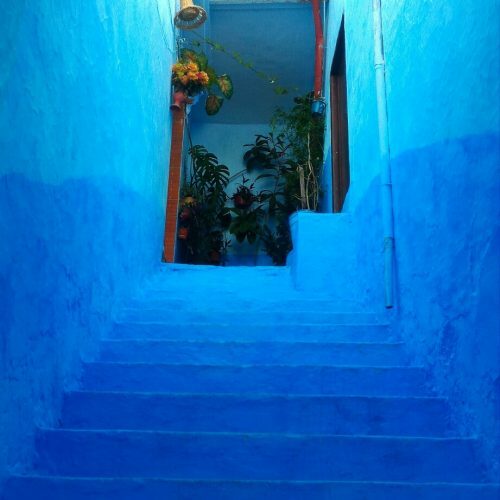 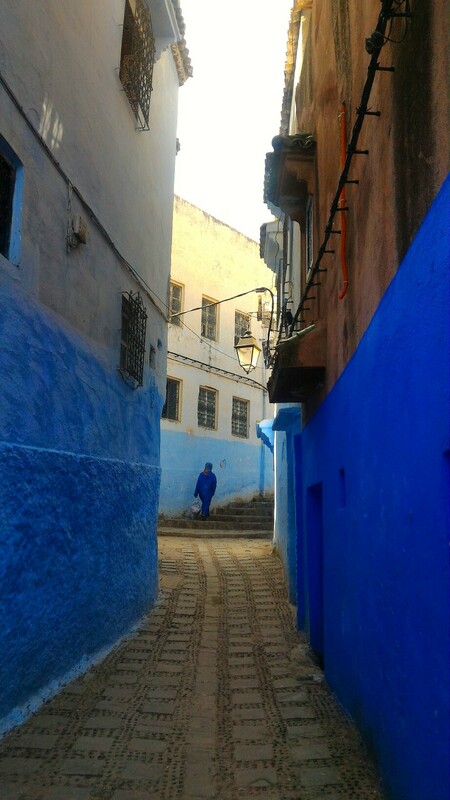 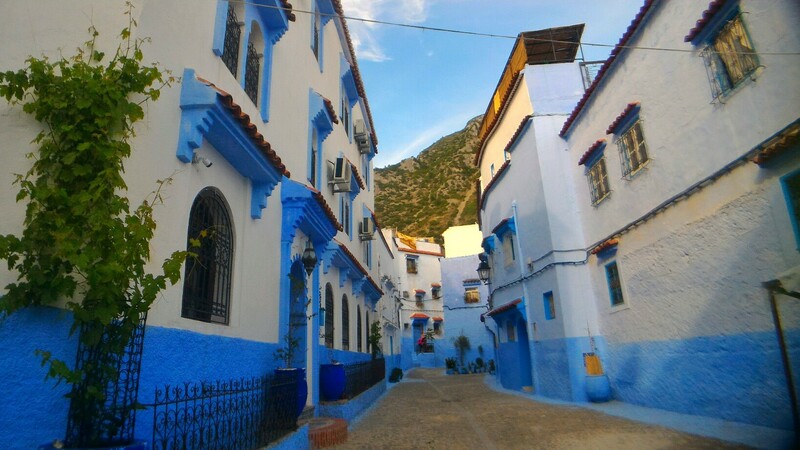 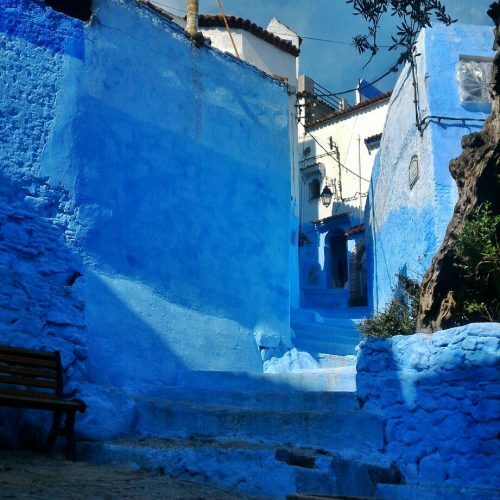 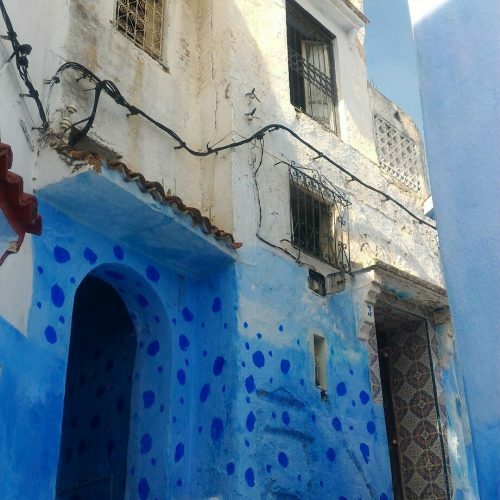 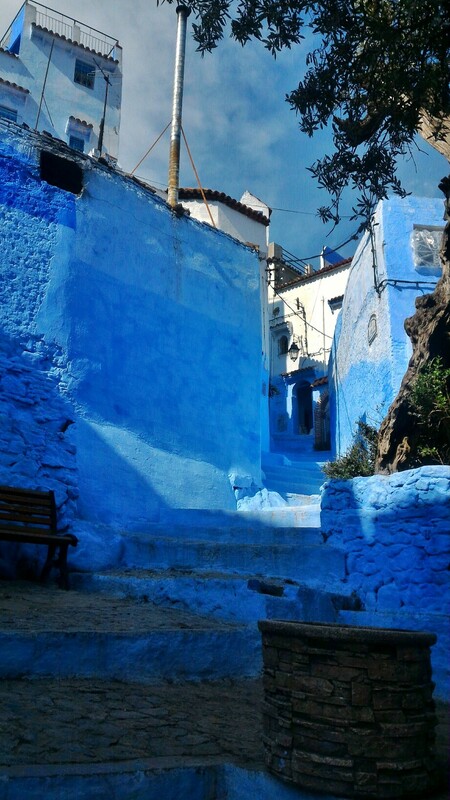 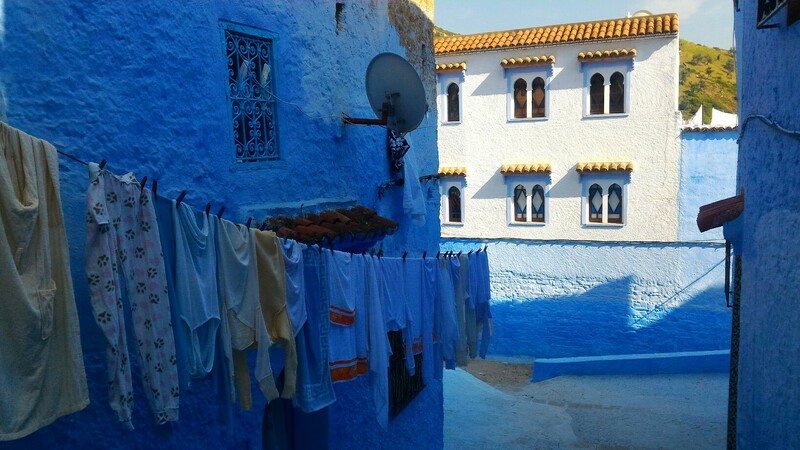 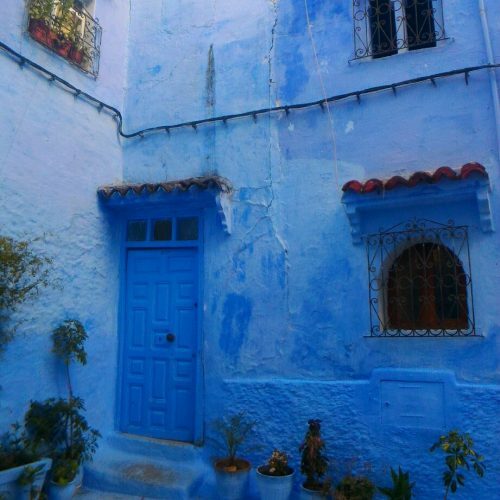 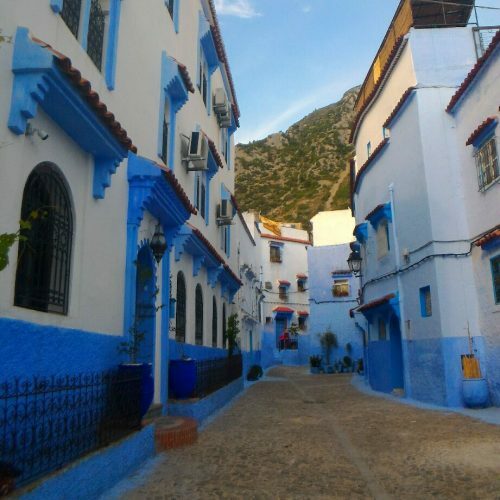 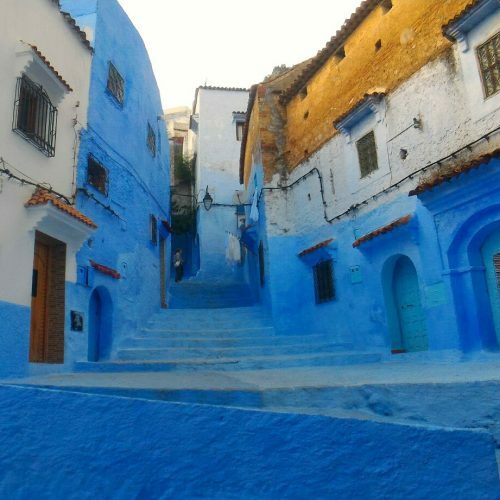 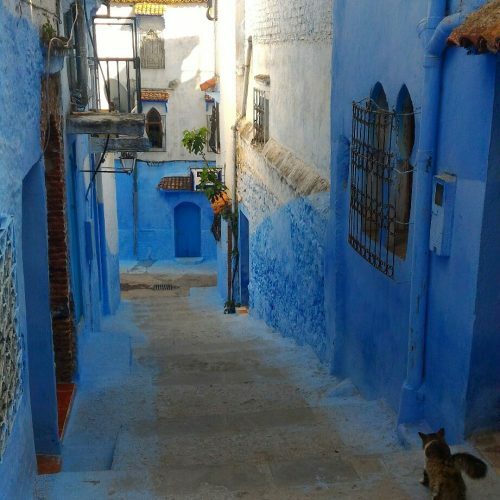 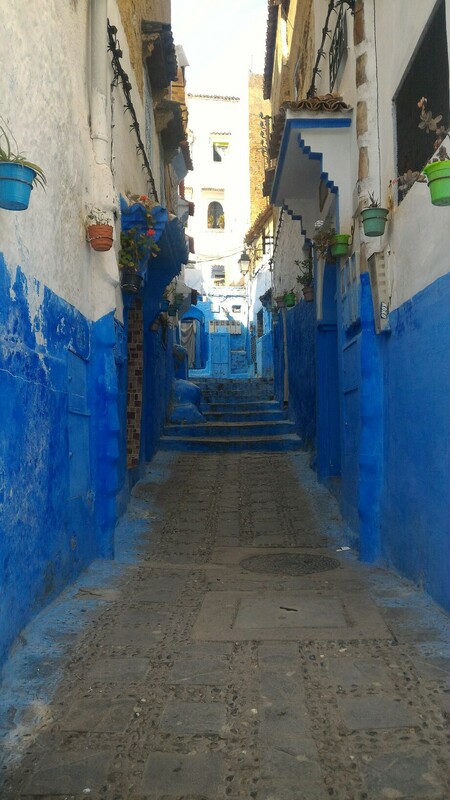 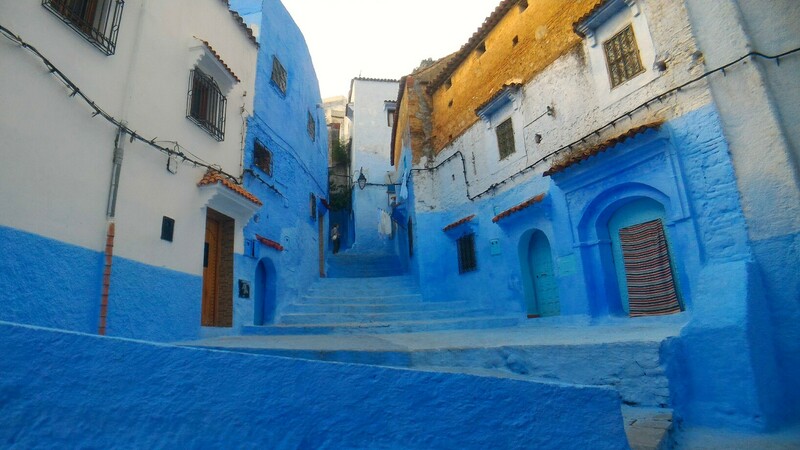 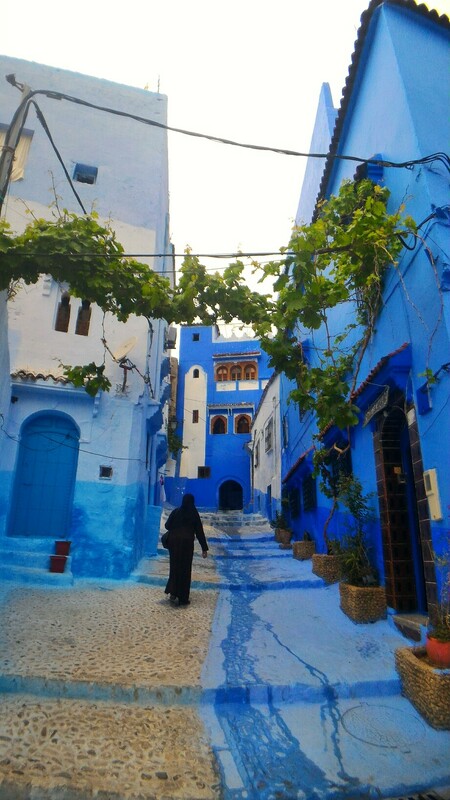 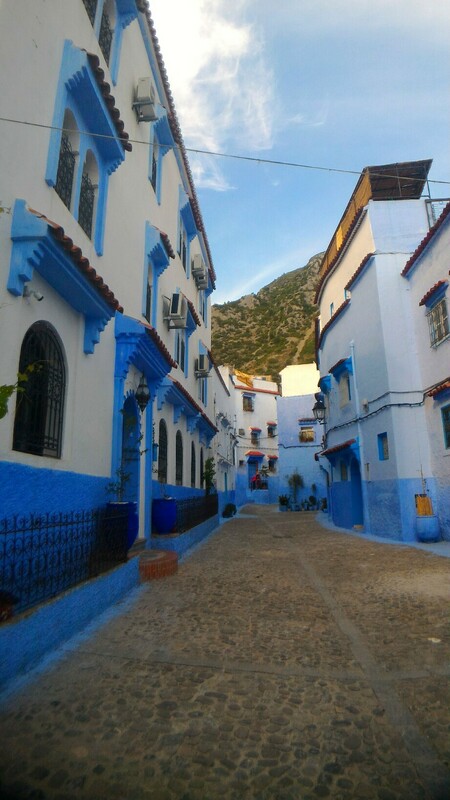 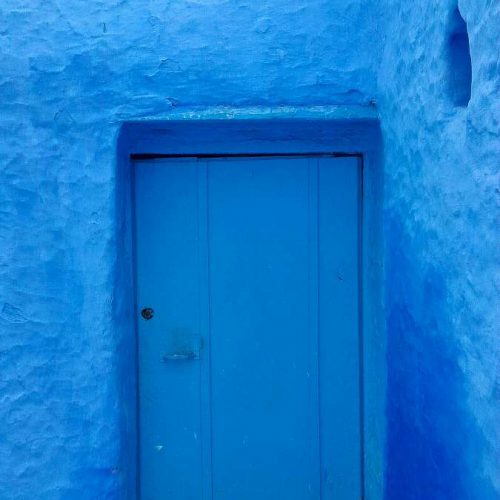 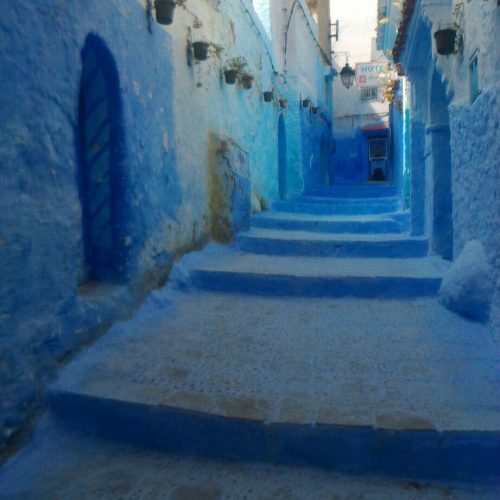 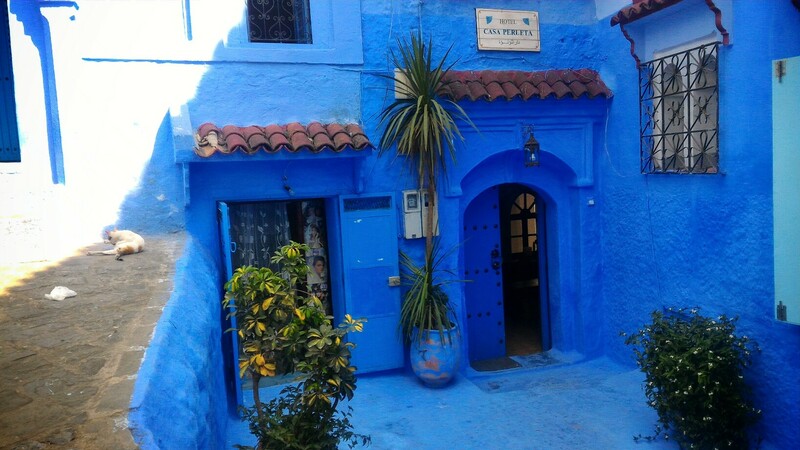 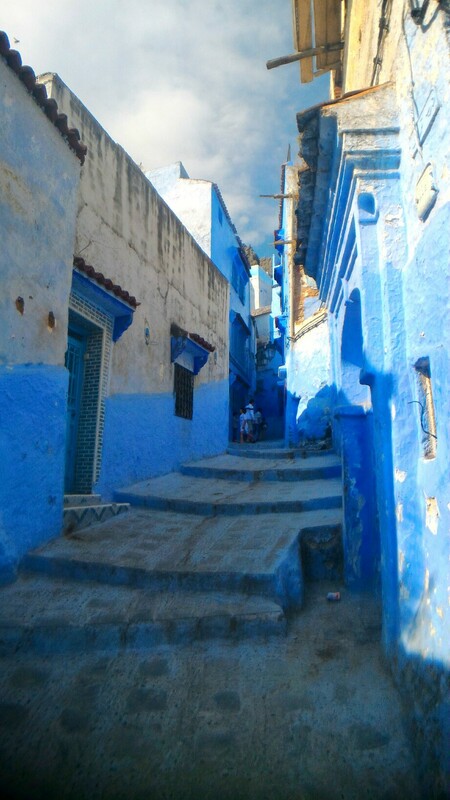 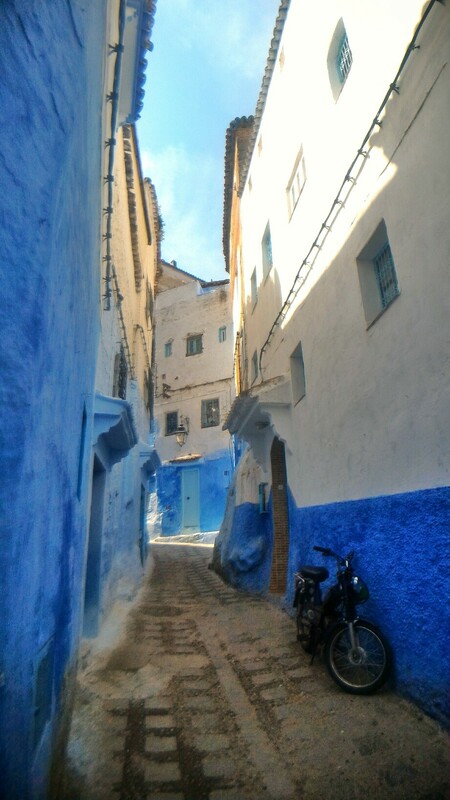 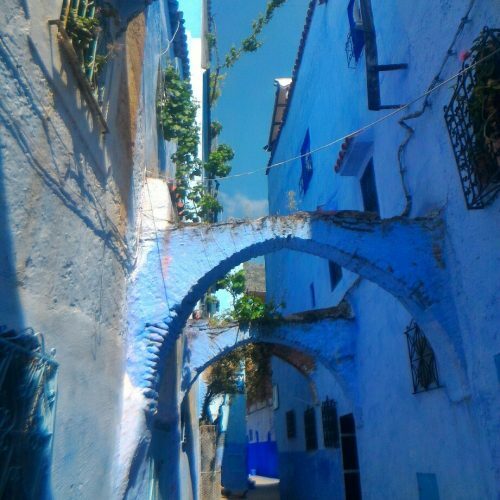 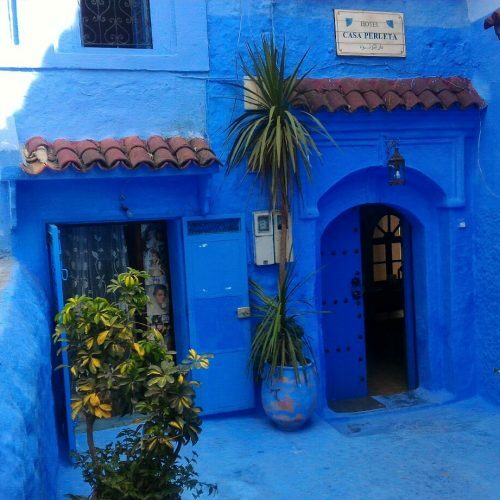 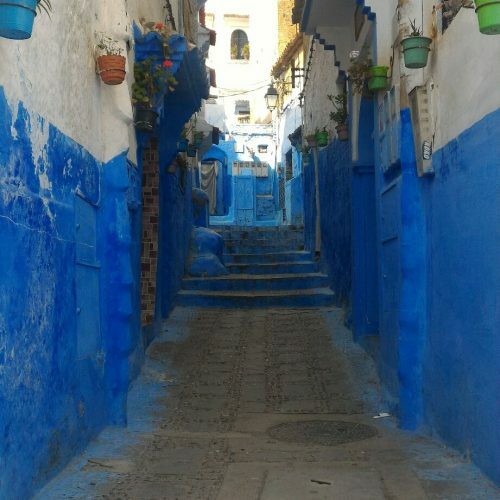 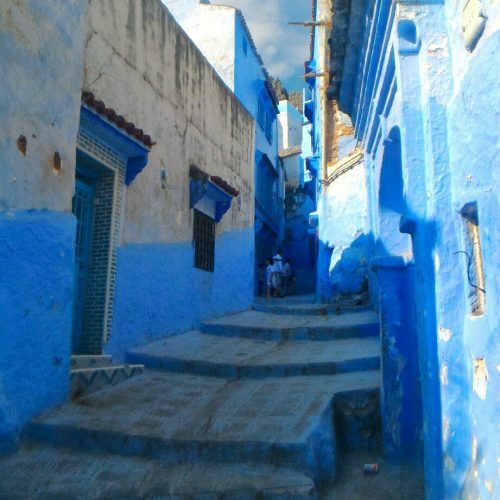 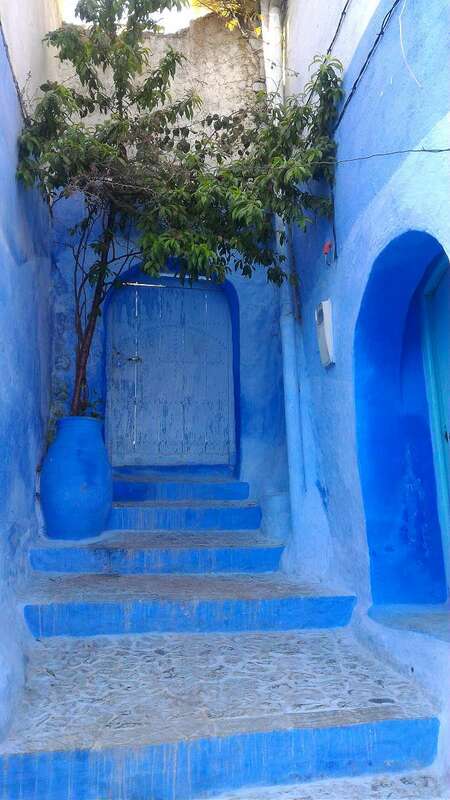 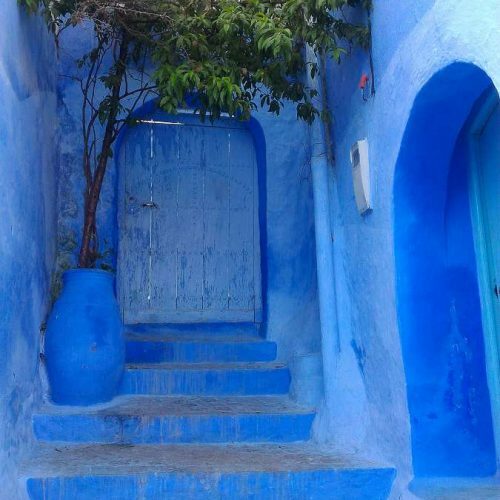 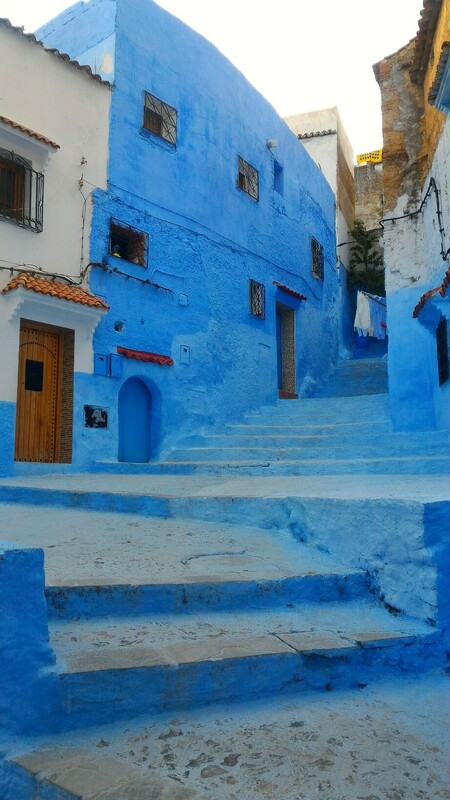 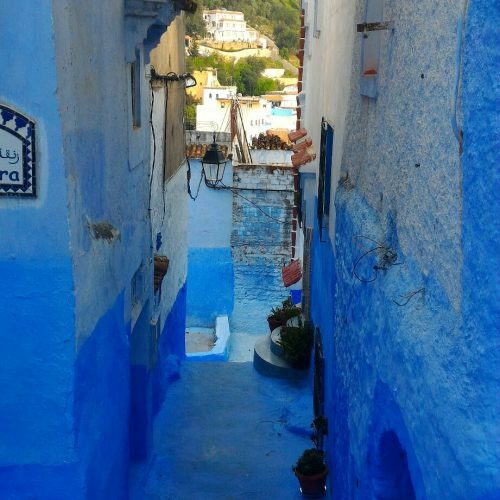 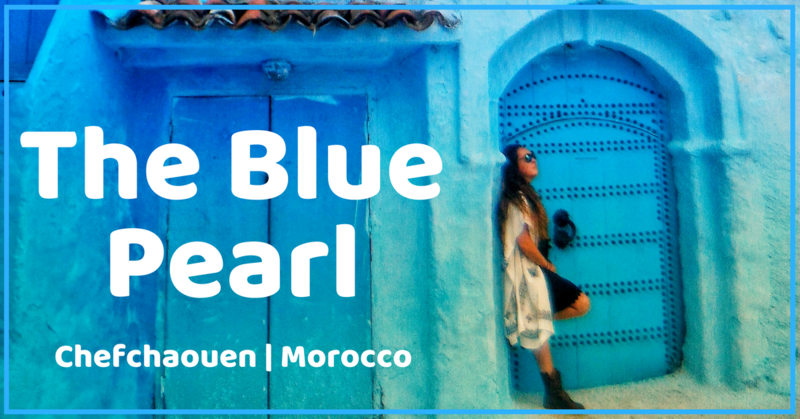 Chefchaouen is the offical name, but the locals simply call it “Chaouen.” You’ll hear travelers refer to it as “the blue city” because the name might be difficult to remember. 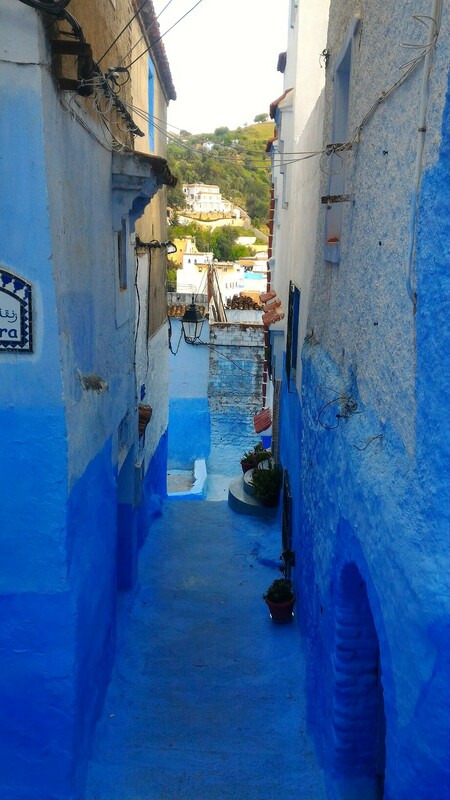 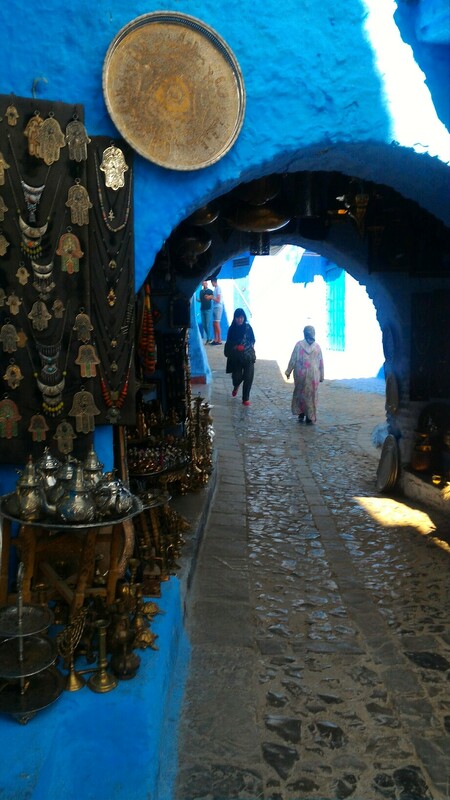 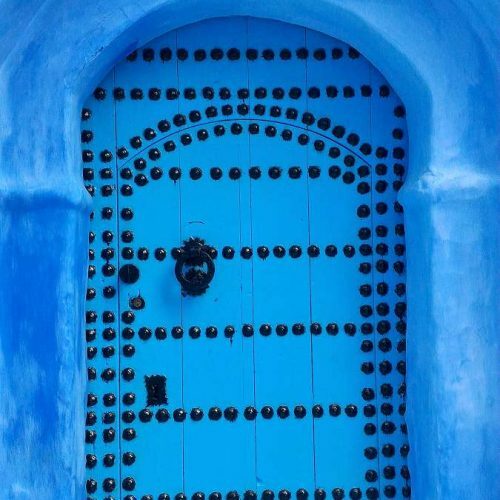 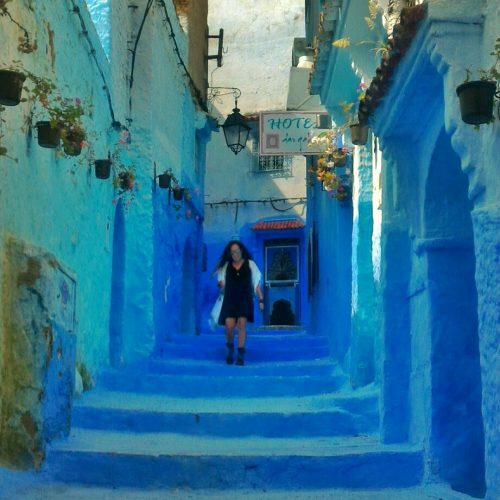 Located in the Northeast of Morocco, about 3 hours north of Fes, or 3 hours south of Tangier, Chefchaouen is definitely worth a visit from where ever you’re coming from. 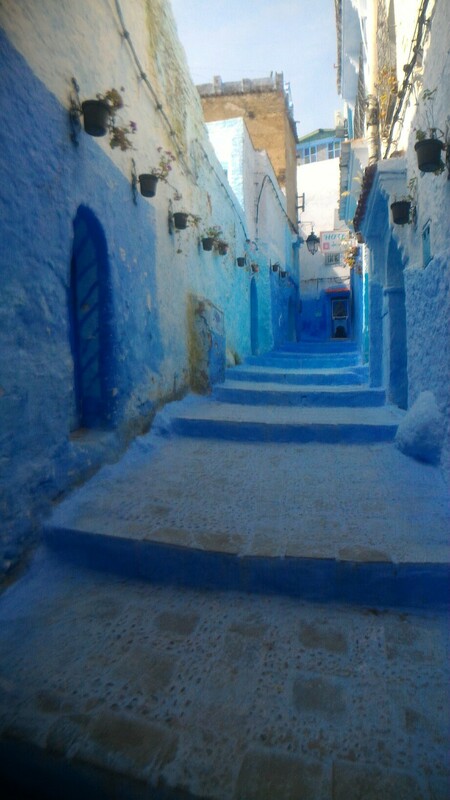 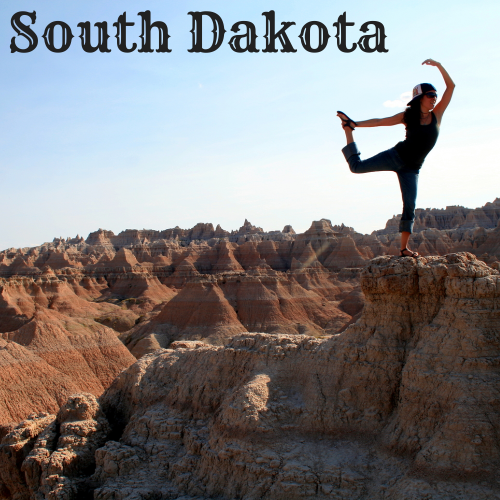 From Fes, it’s about a 3.5 hour drive, north. 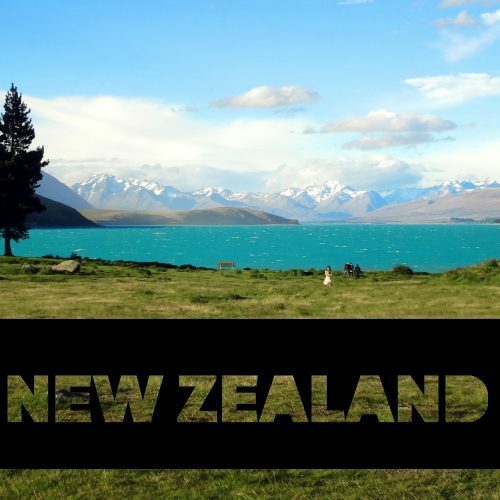 There are regular buses that make the journey. 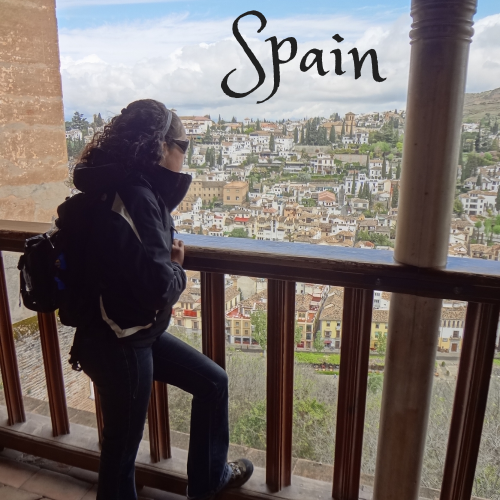 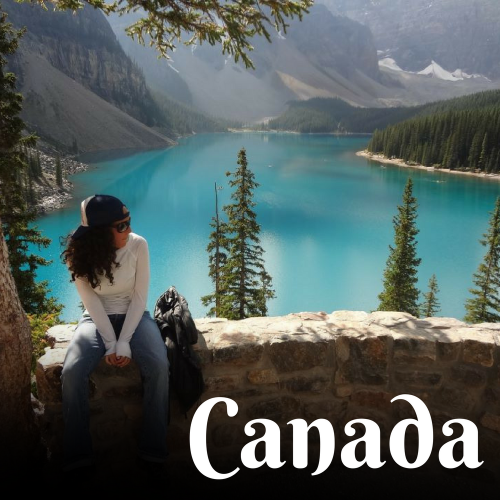 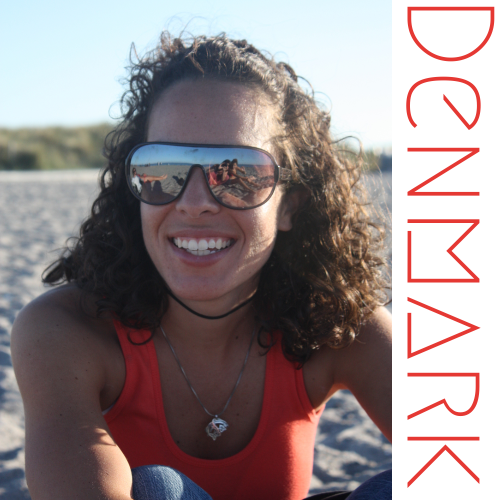 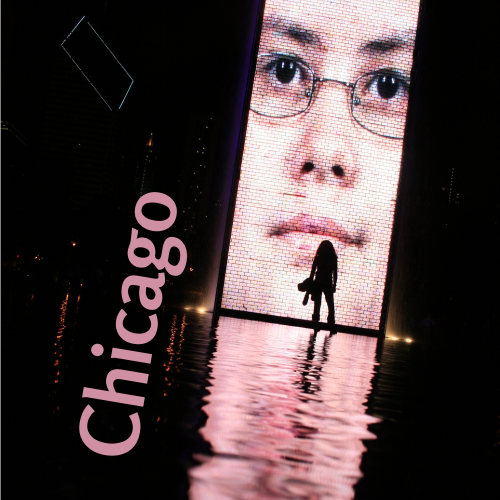 I would ask, the day before, at the bus station for the bus-schedule – just so you can plan and be sure… I checked online a few times and the schedules were always wrong, so I started just asking directly at the bus station and that always worked out better. 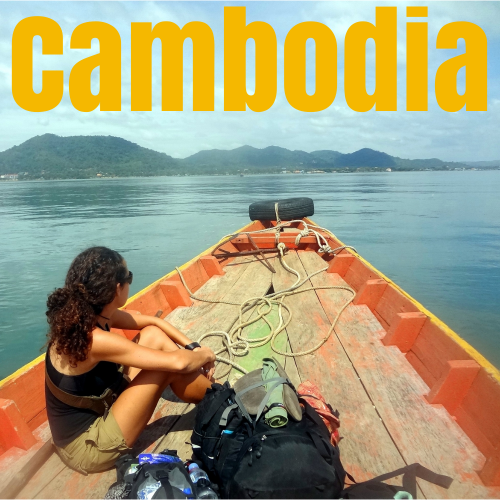 Once the bus drops you off, you can either walk OR there’ll be a bunch of taxi-guys waiting – they’ll ask for 70MAD, but you can talk them down to 20 if you’re good at haggling, or about 30 is normal. 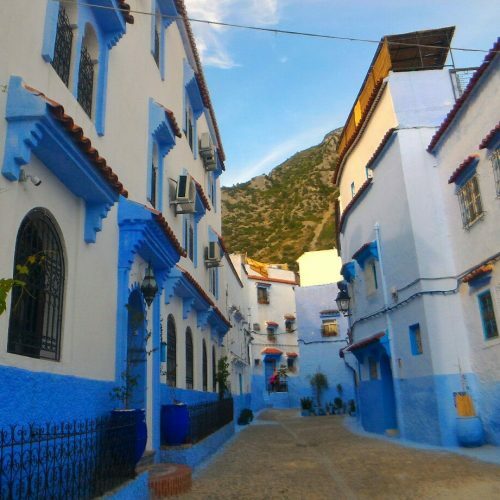 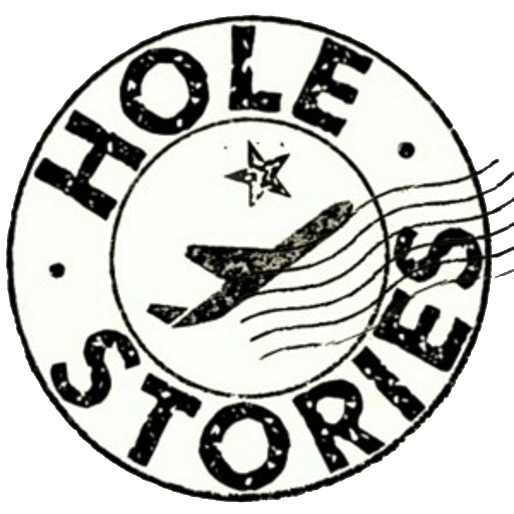 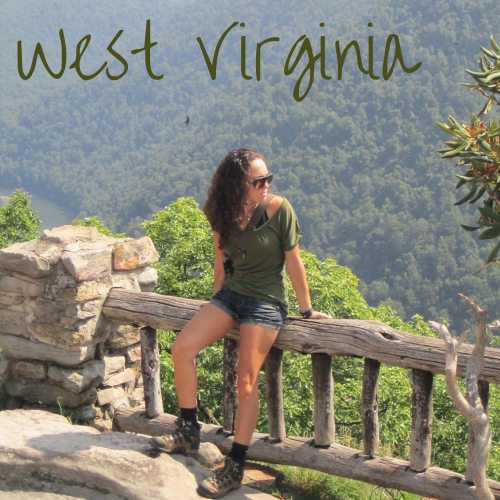 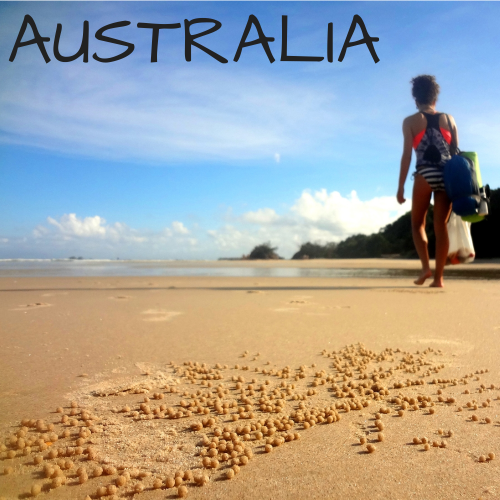 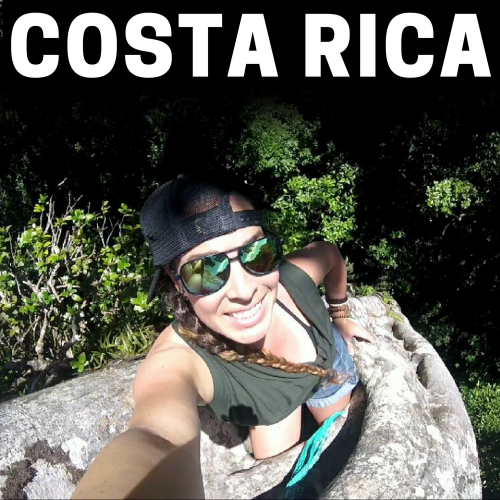 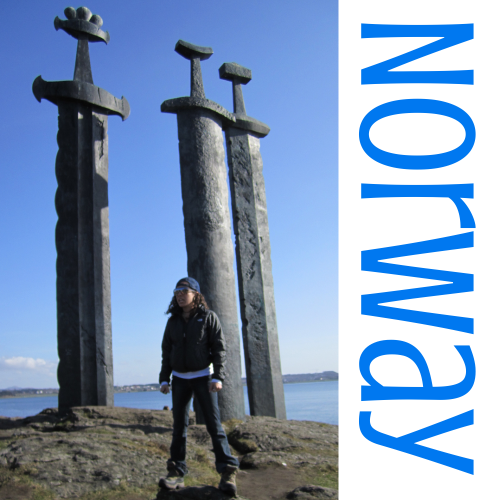 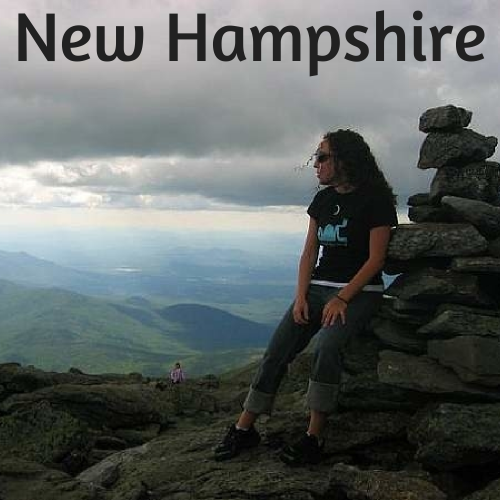 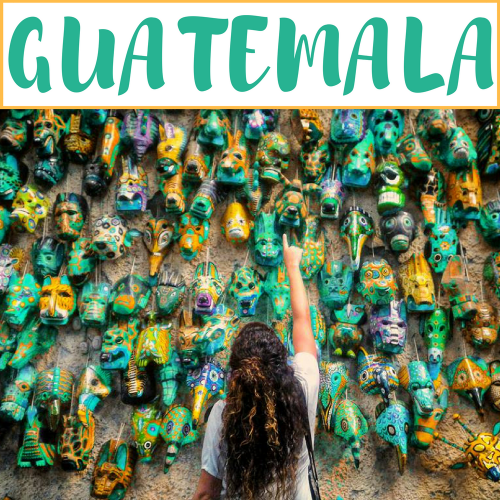 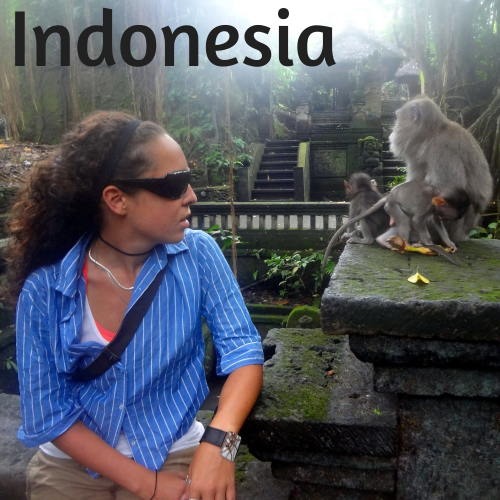 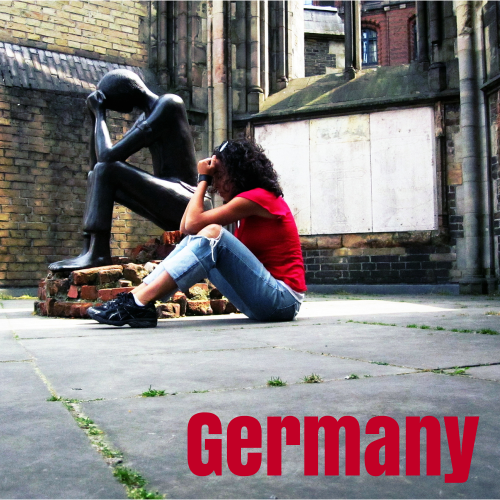 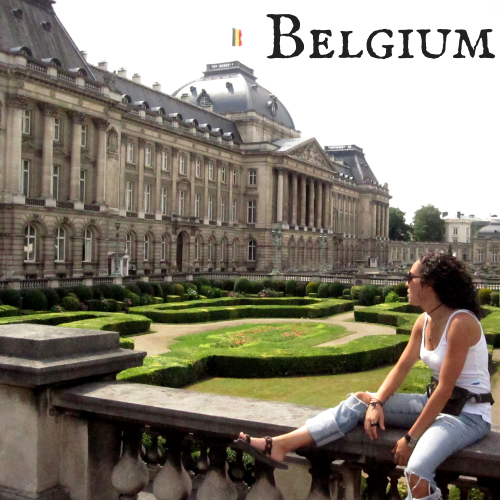 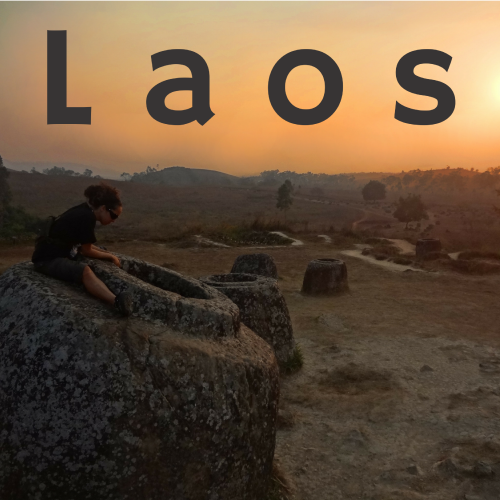 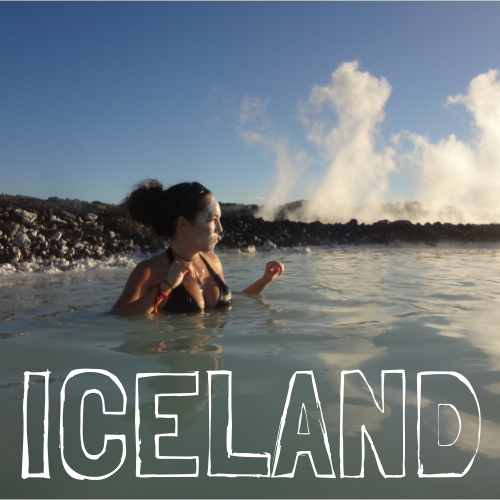 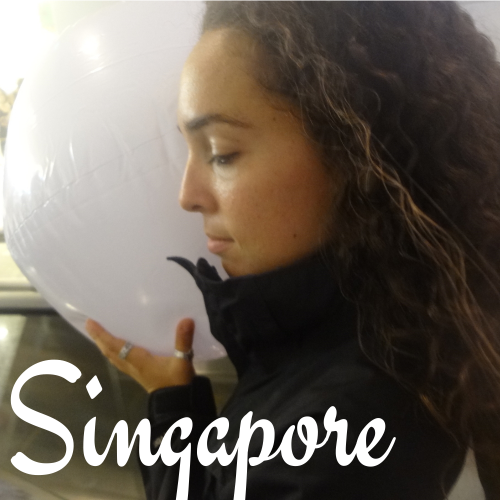 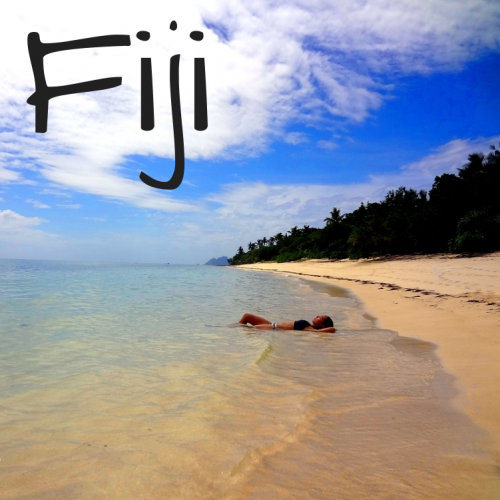 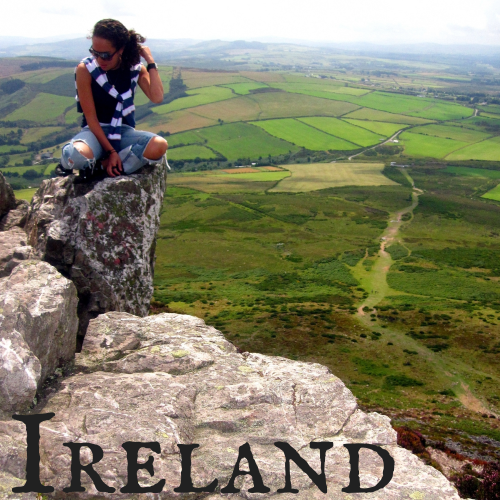 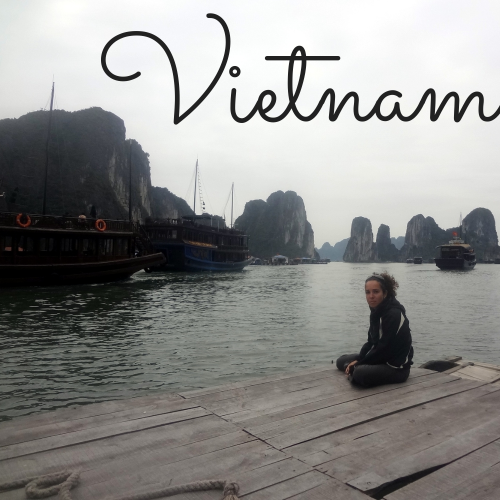 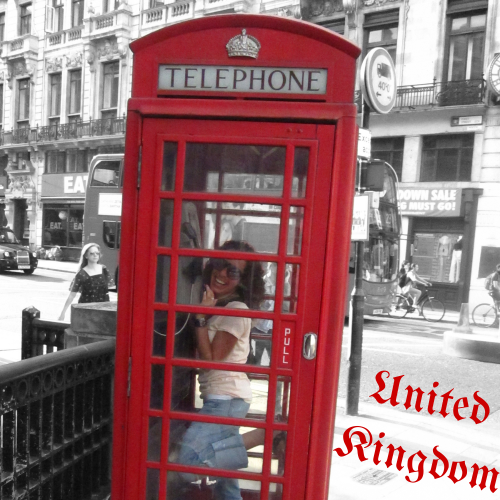 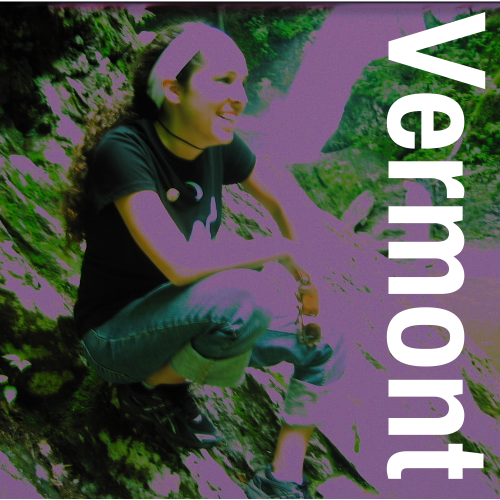 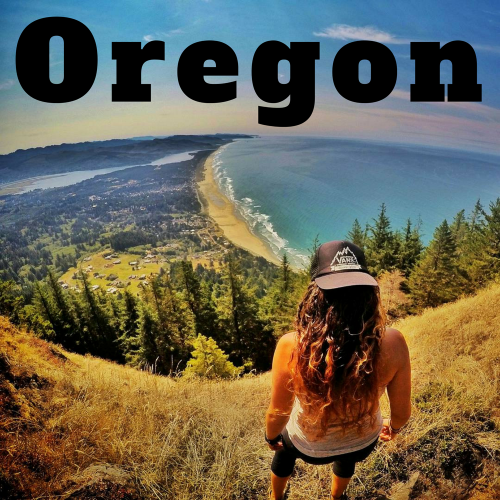 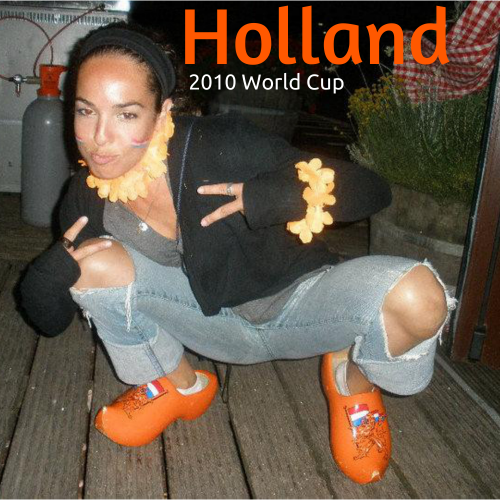 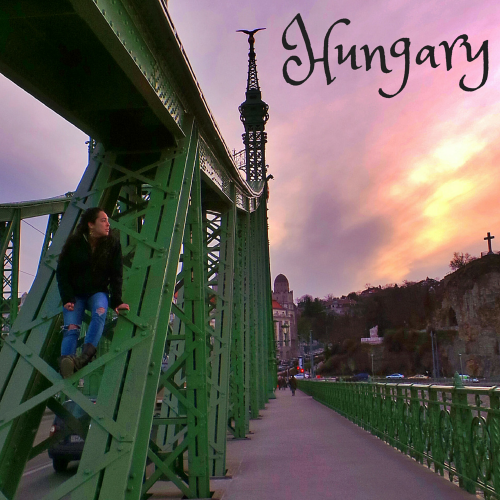 There are a ton of hostels, so just check HostelWorld for cheap ones. 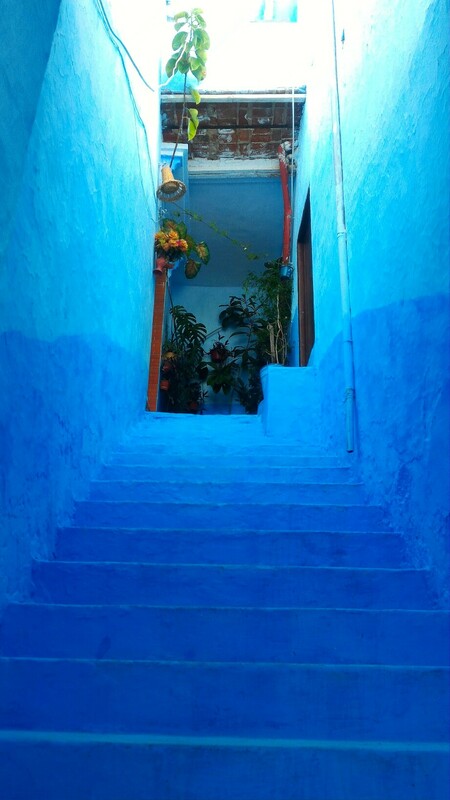 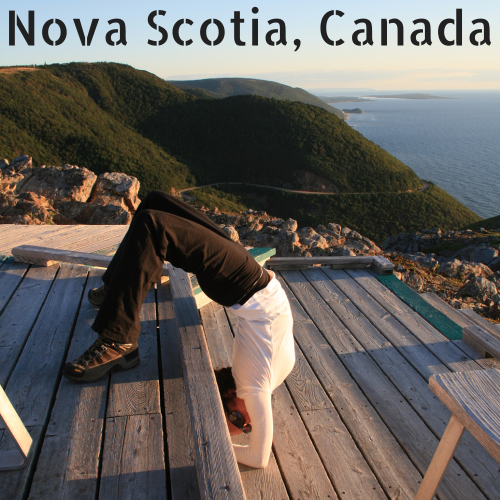 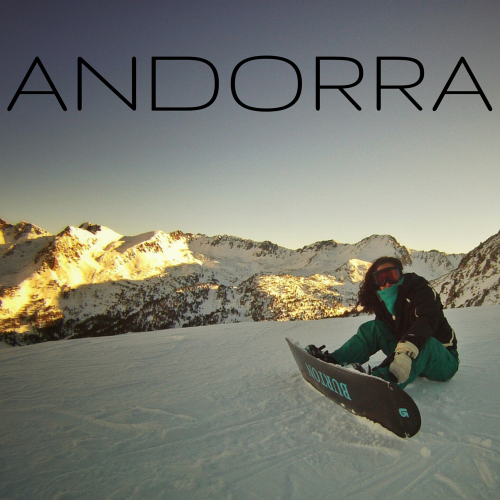 Most are around US$8 and include breakfast (but ask before, just to make sure – always ask beforehand about prices). 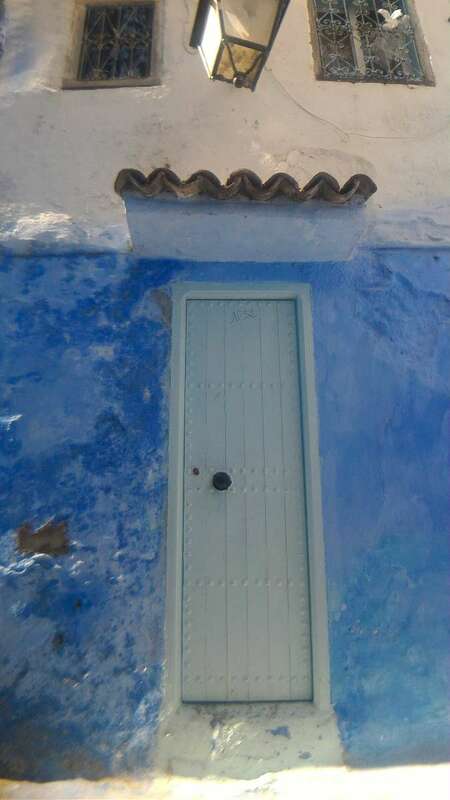 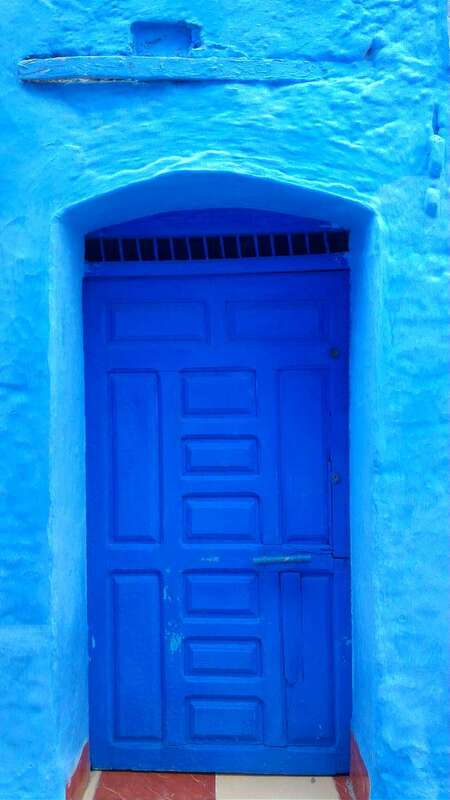 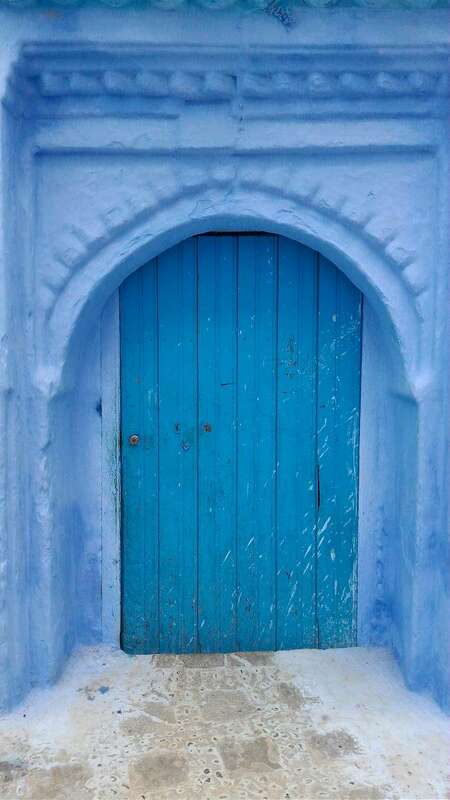 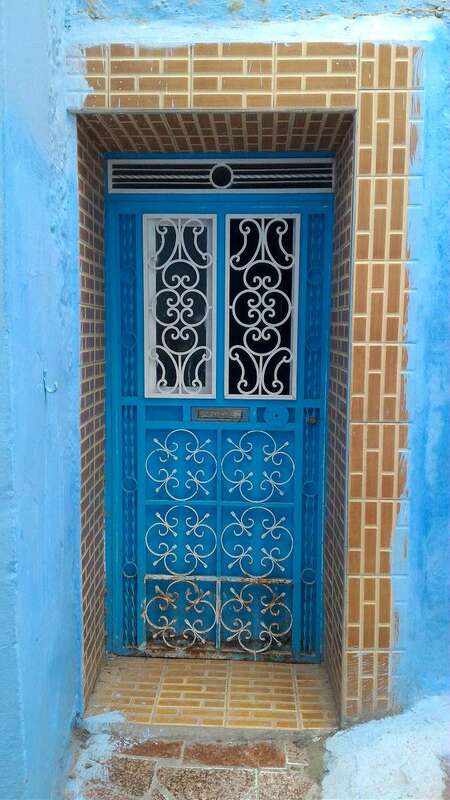 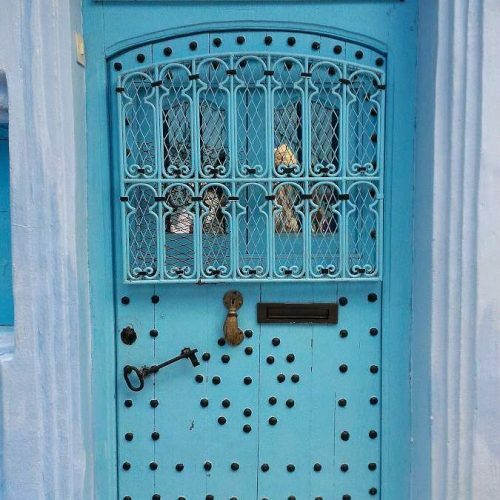 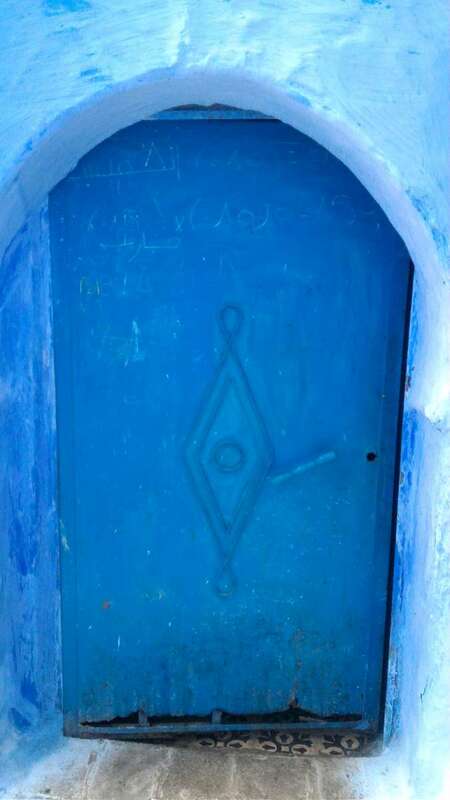 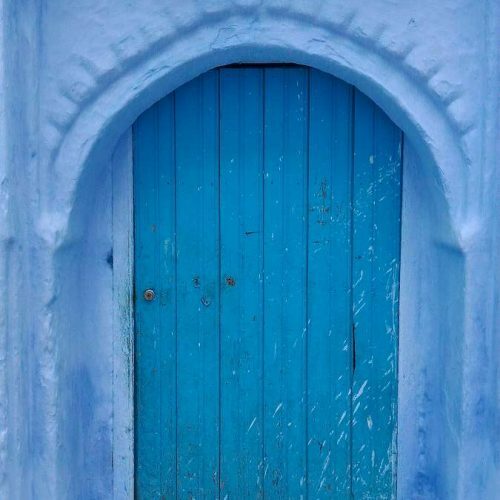 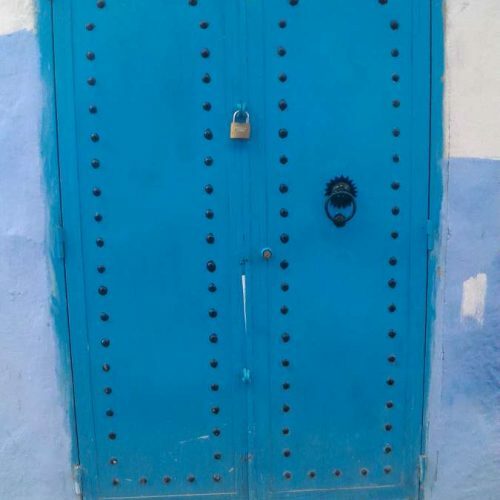 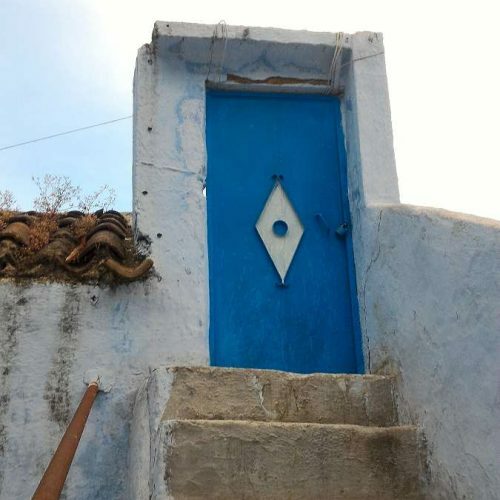 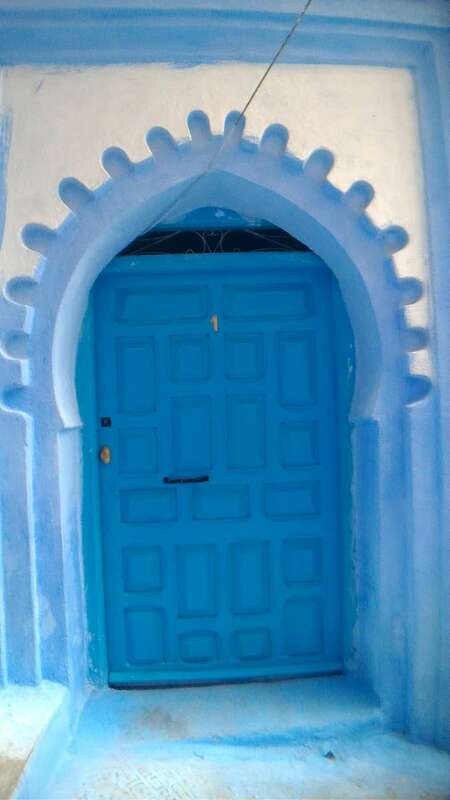 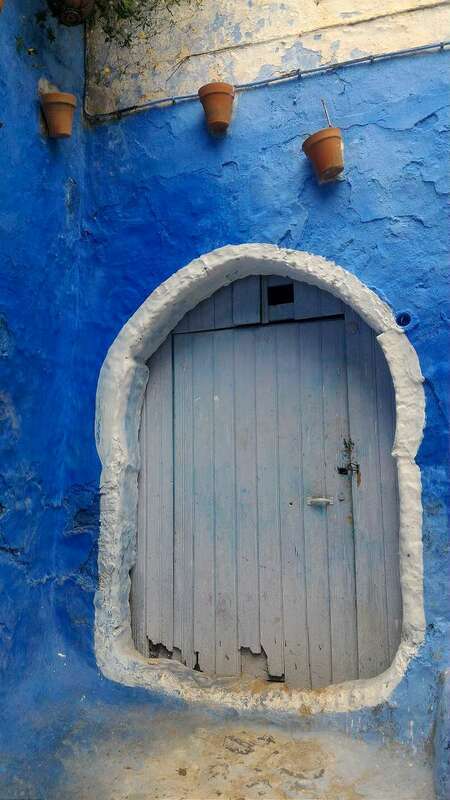 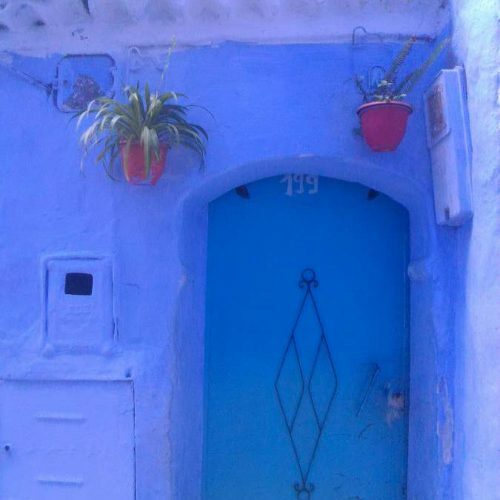 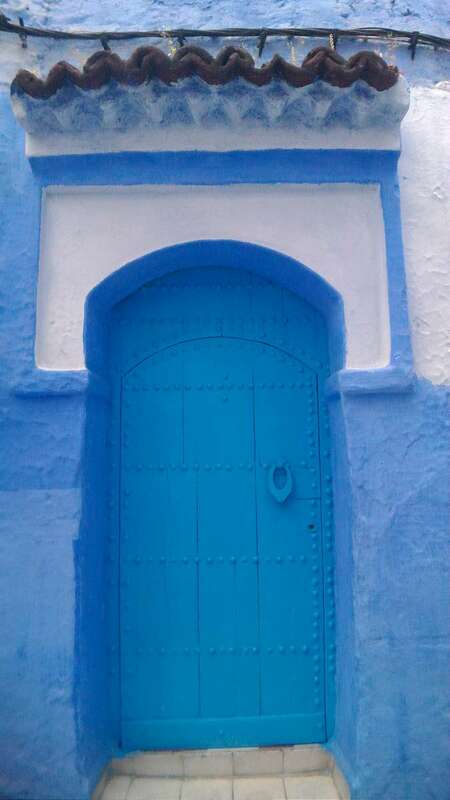 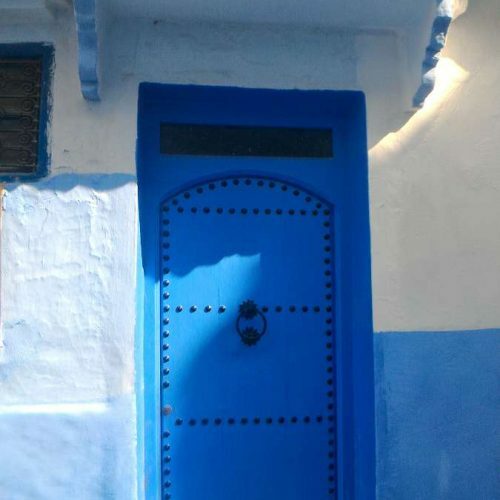 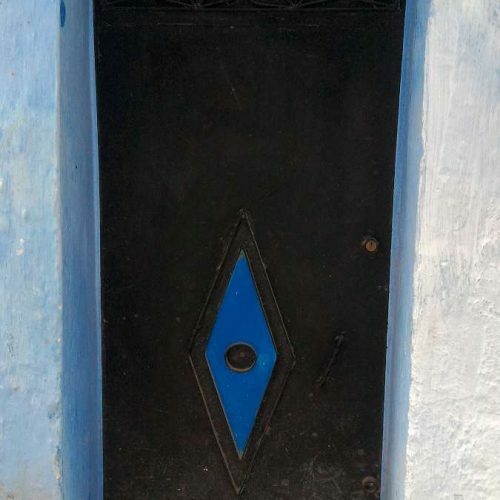 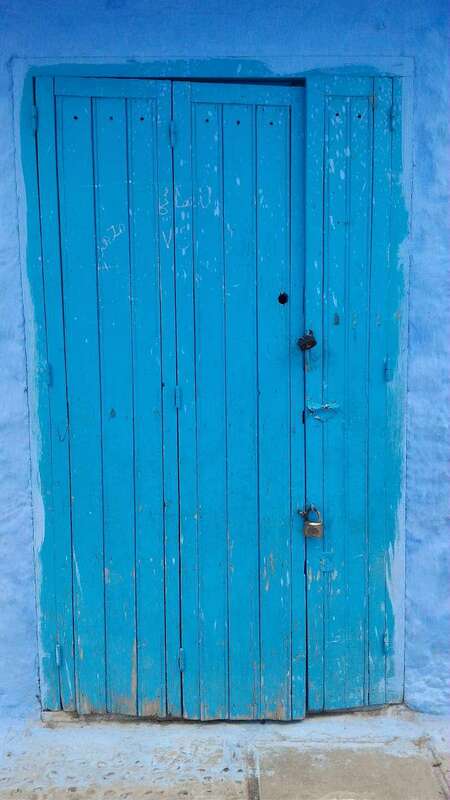 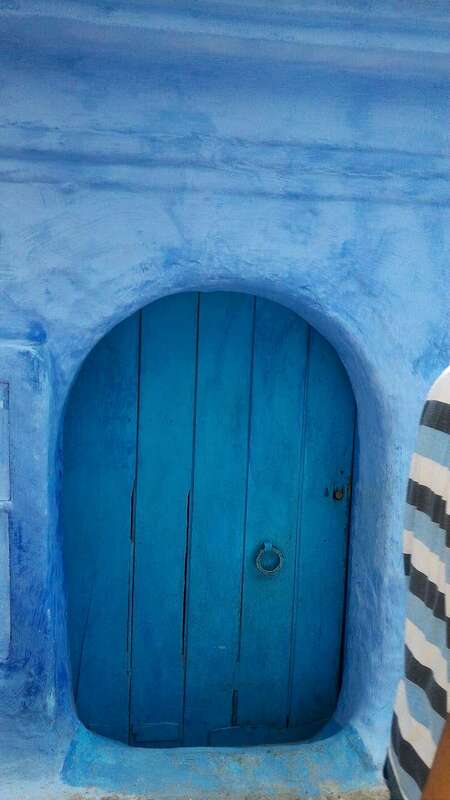 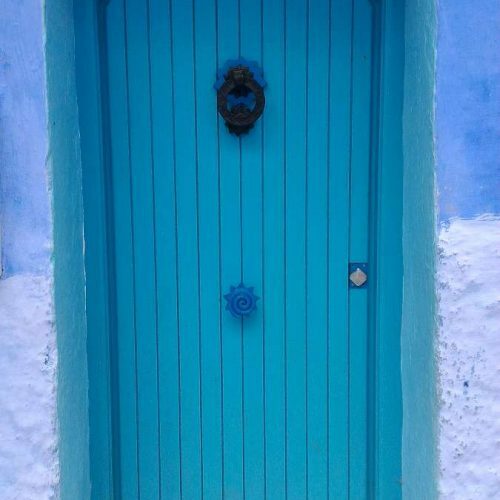 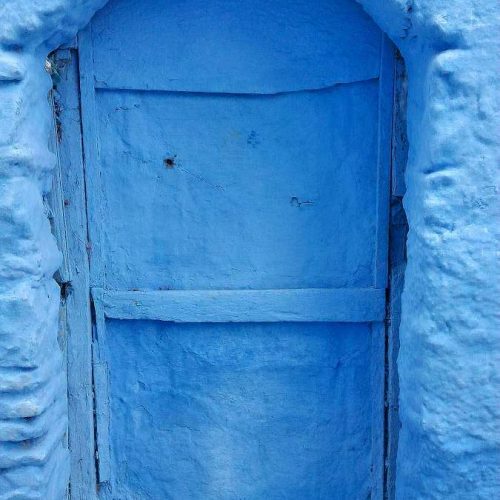 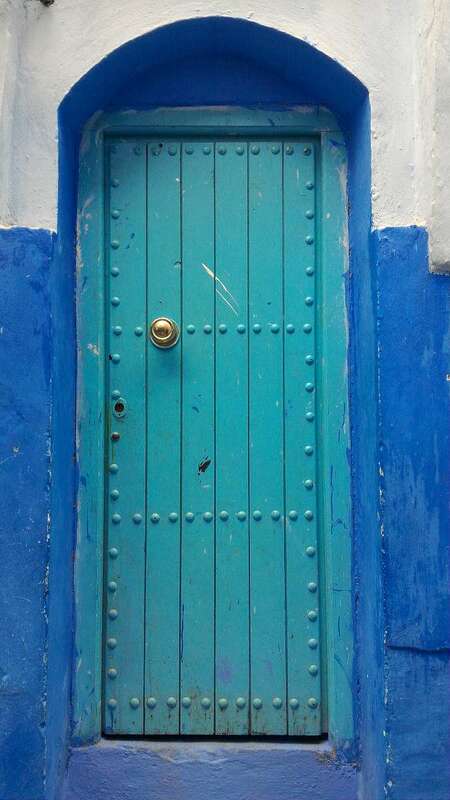 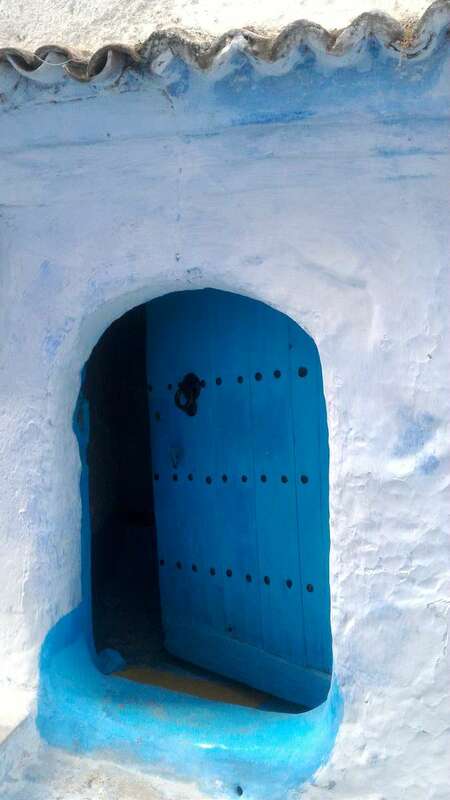 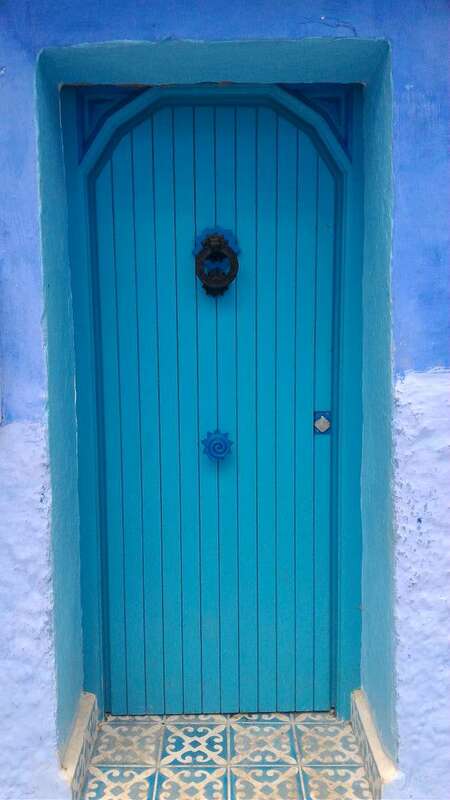 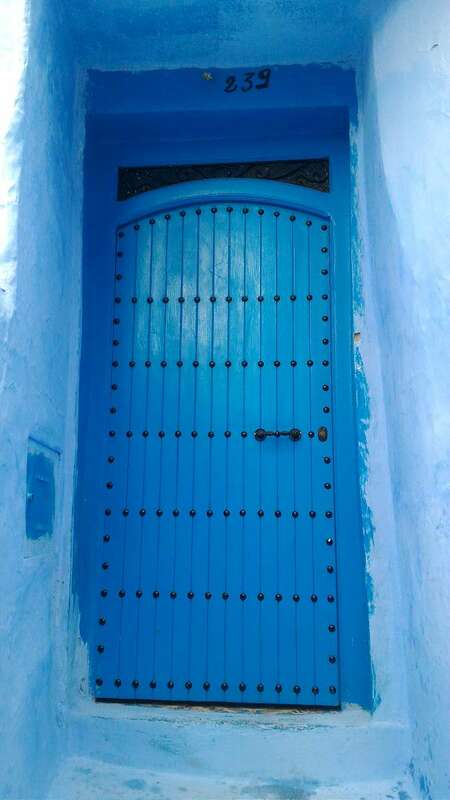 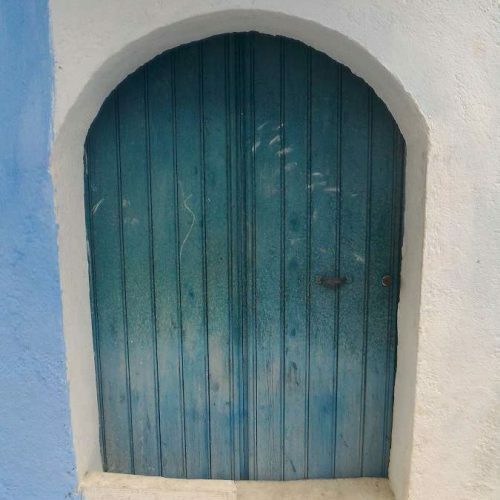 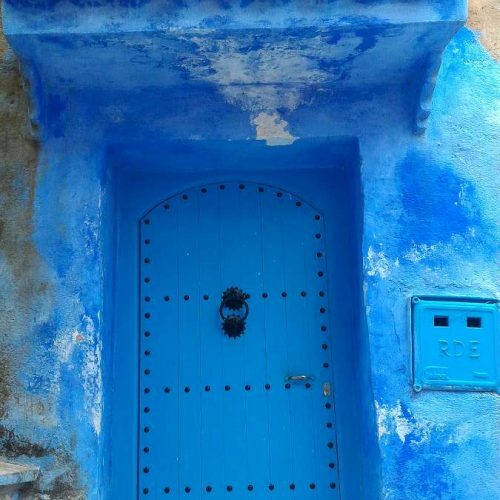 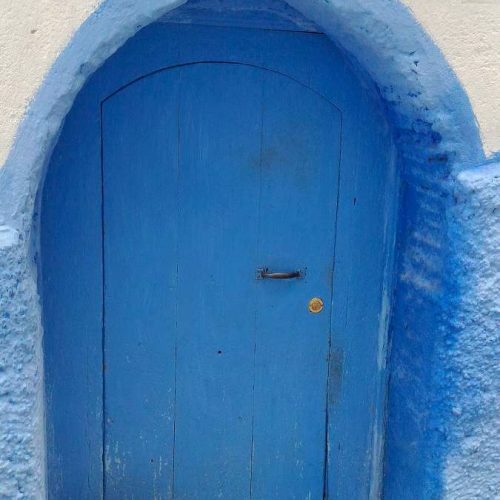 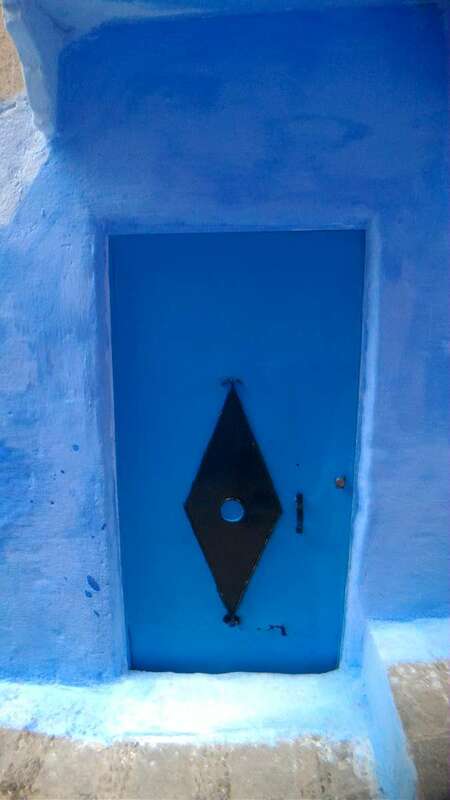 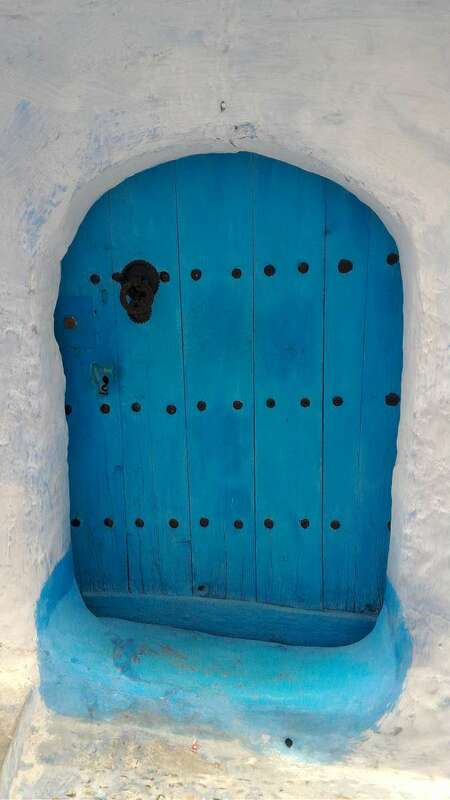 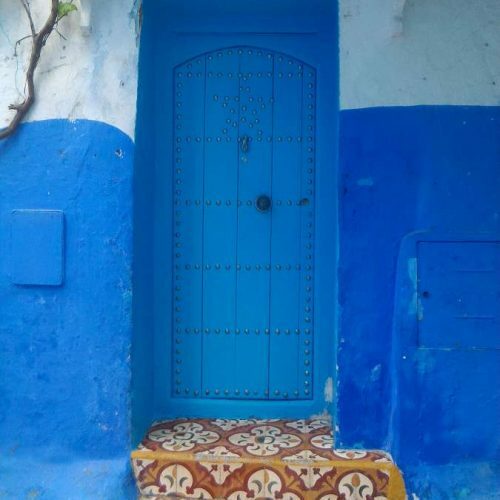 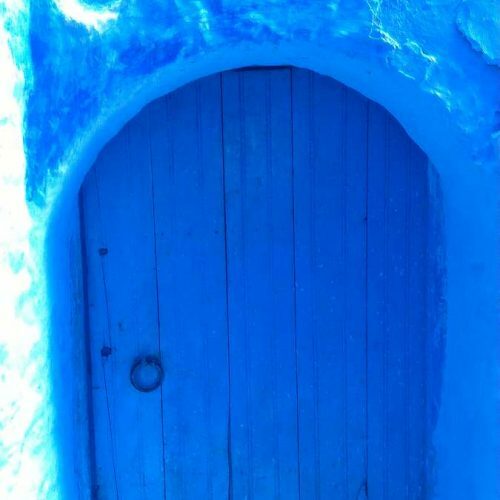 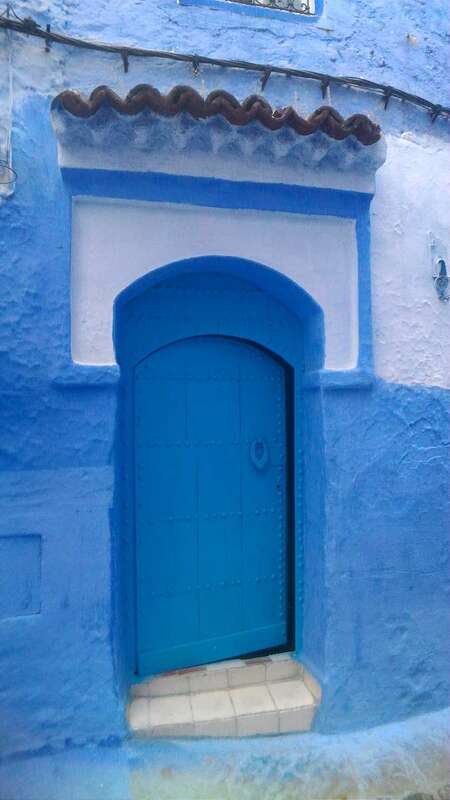 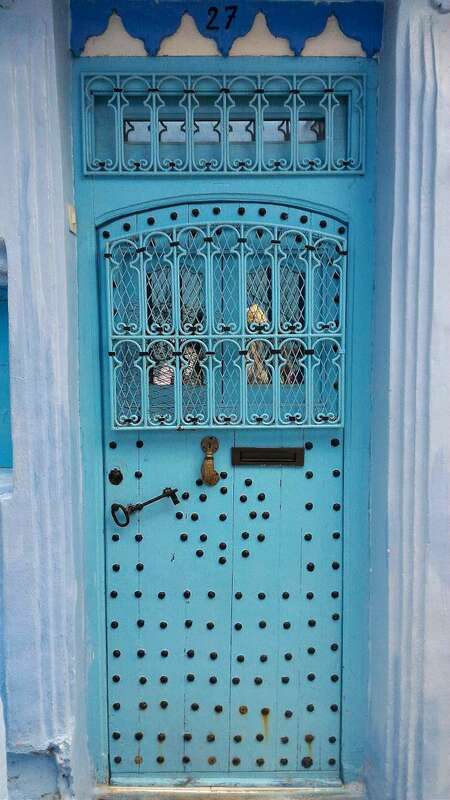 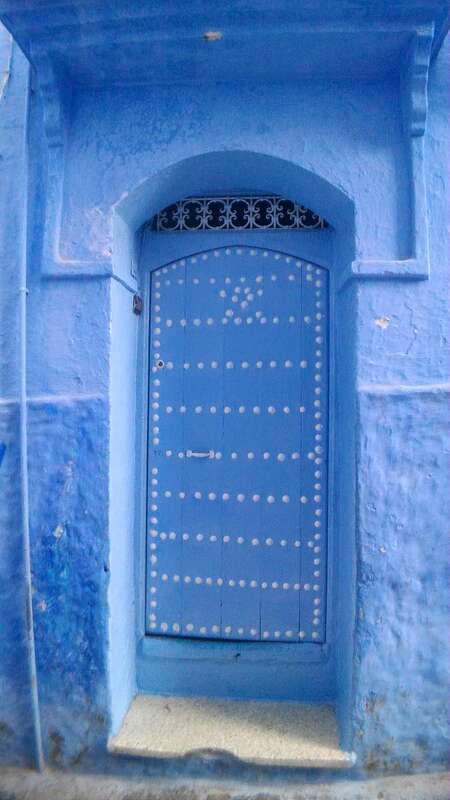 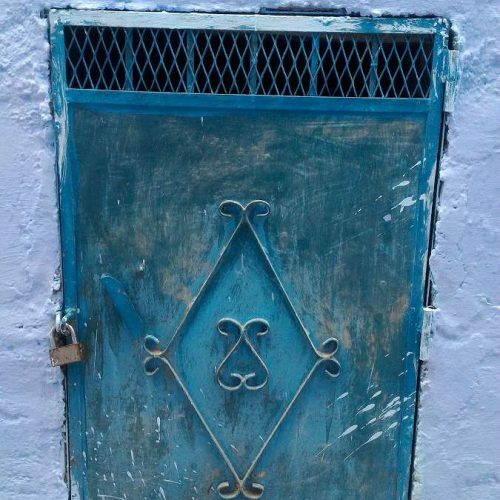 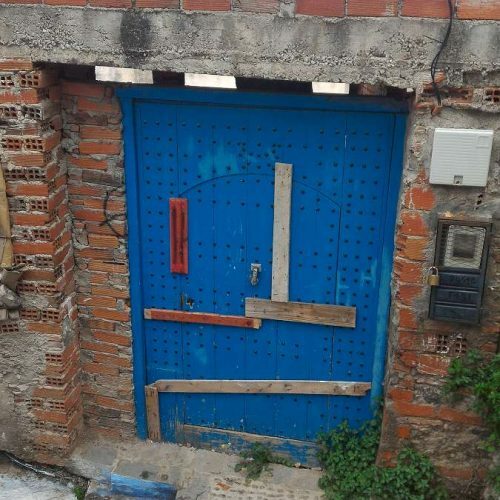 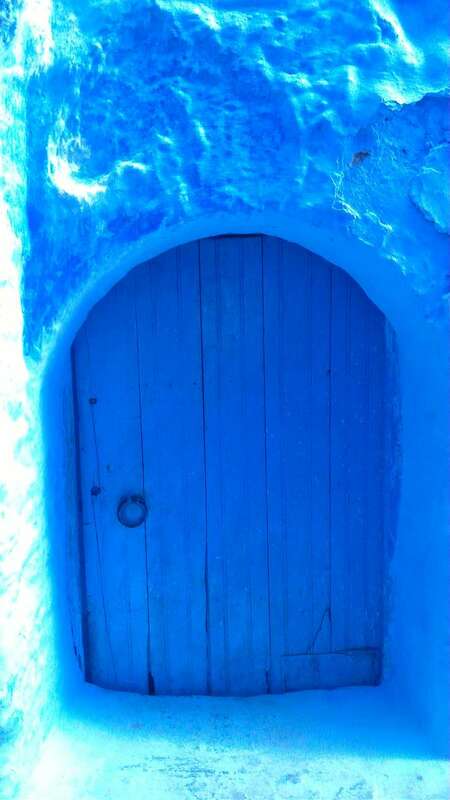 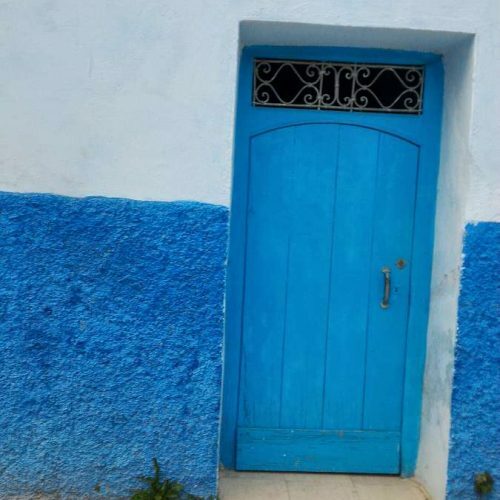 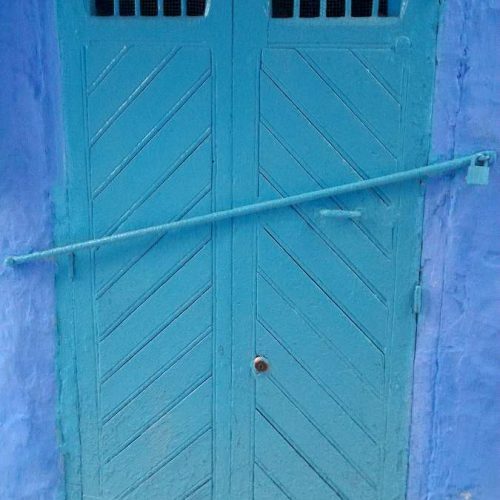 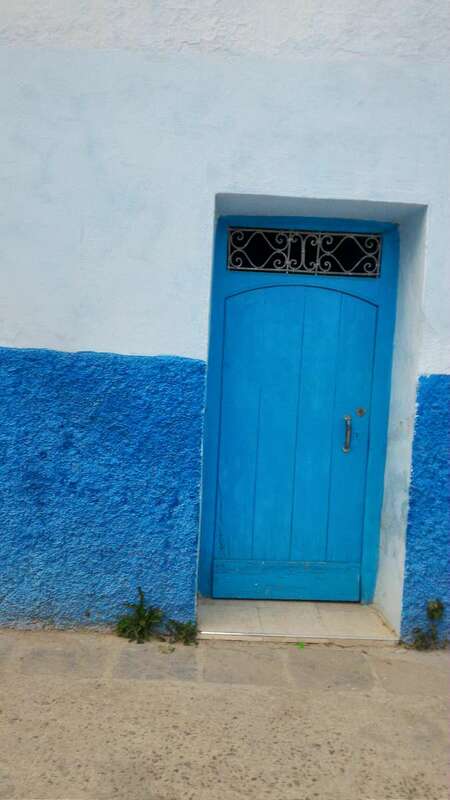 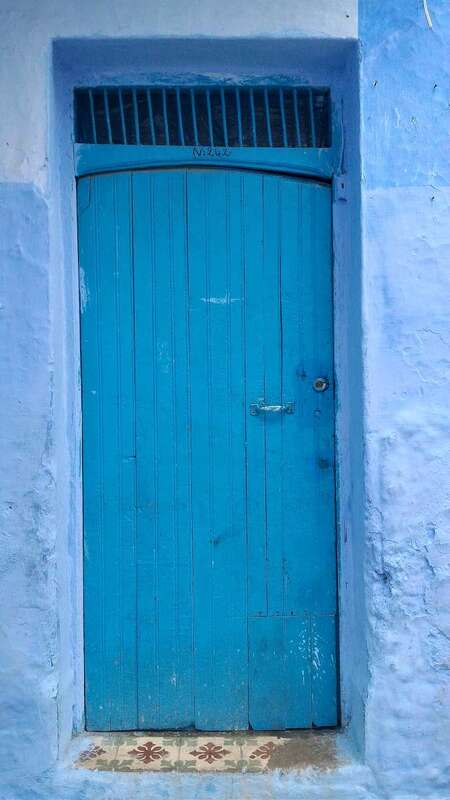 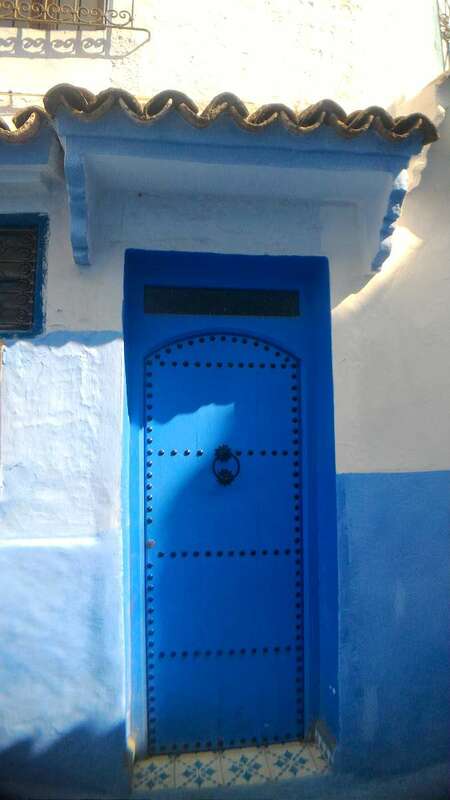 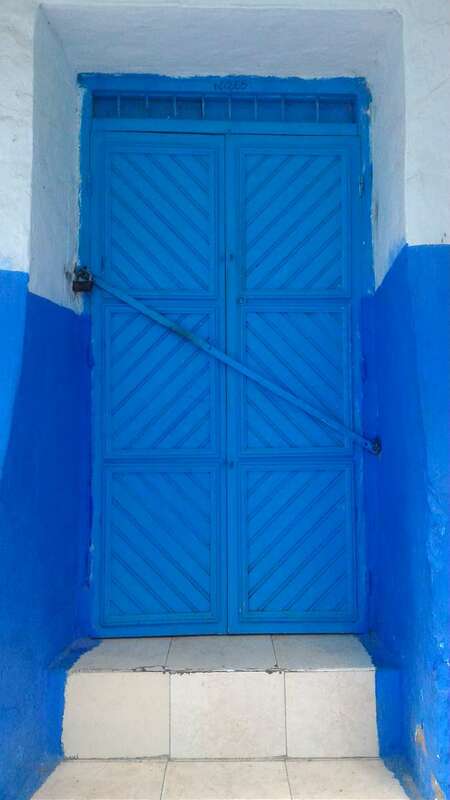 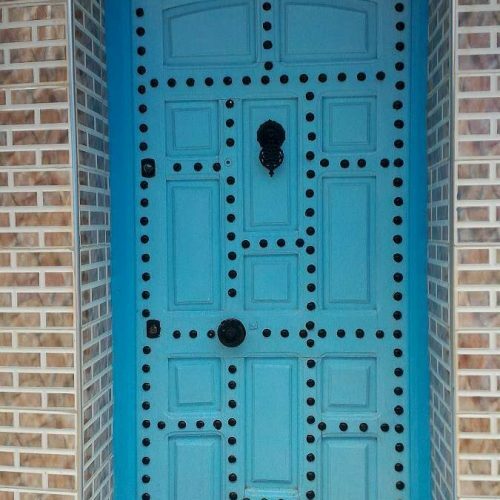 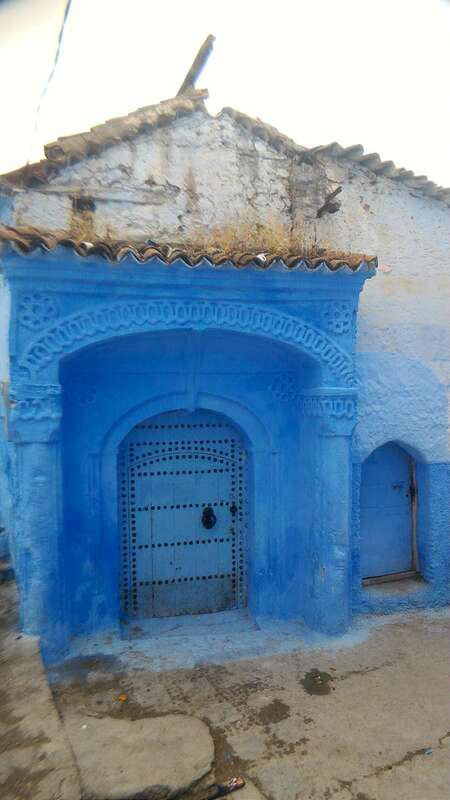 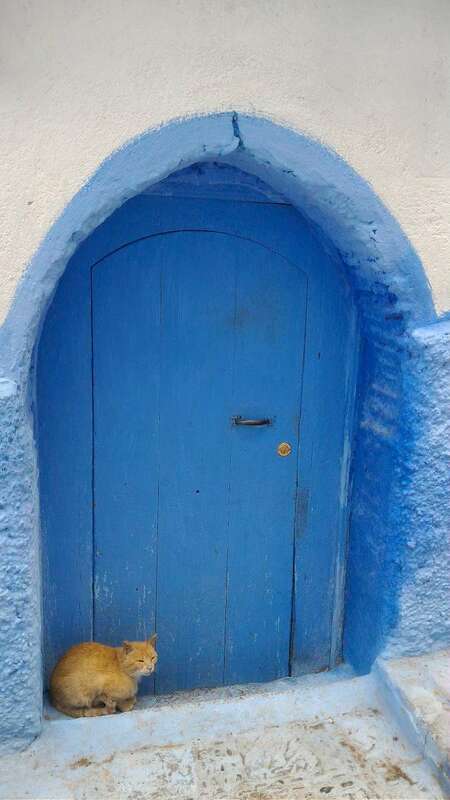 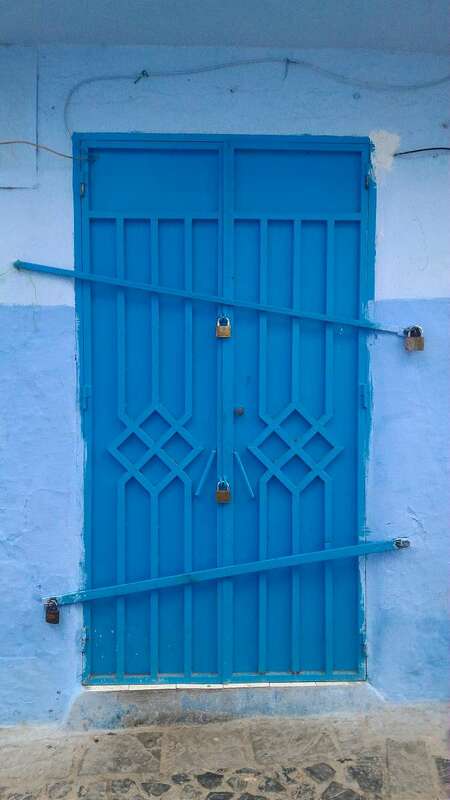 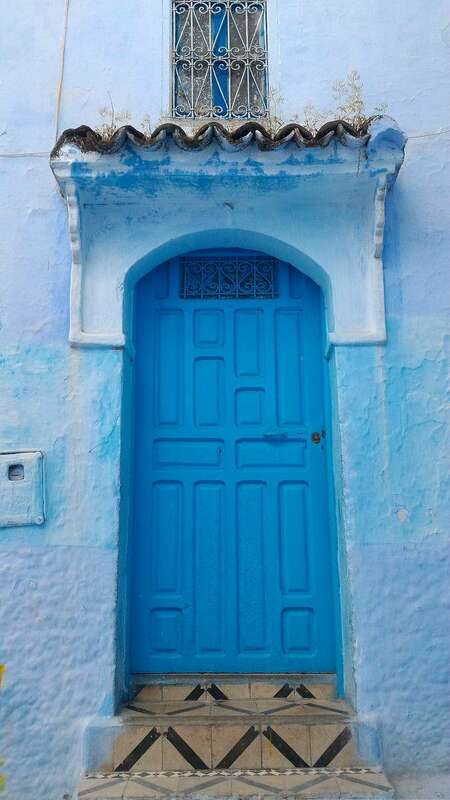 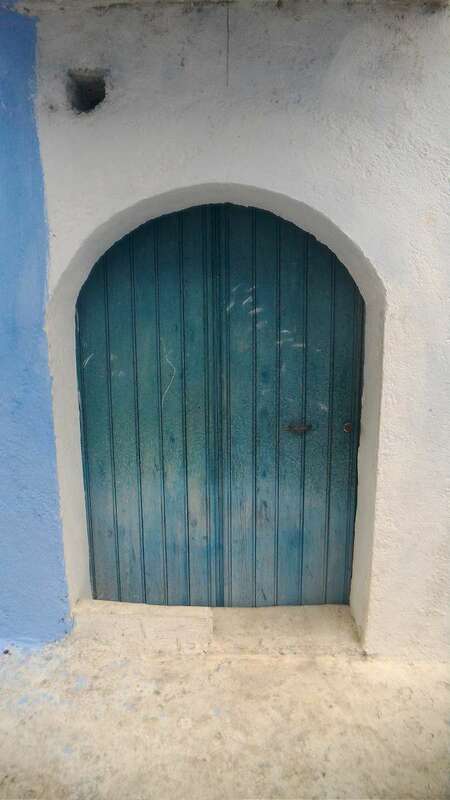 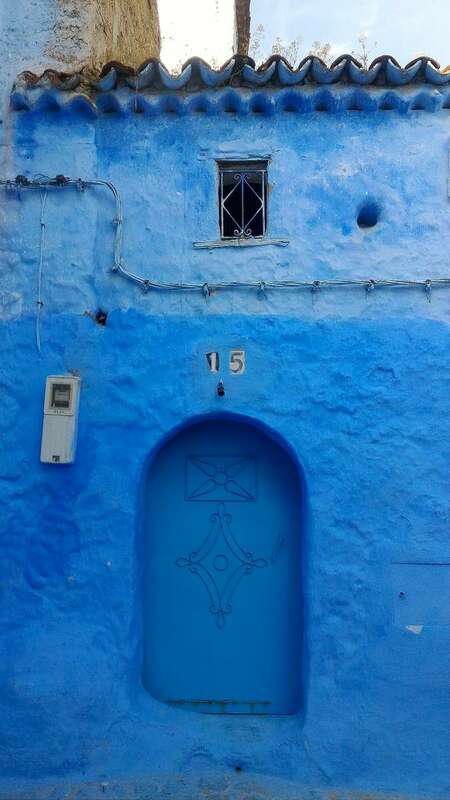 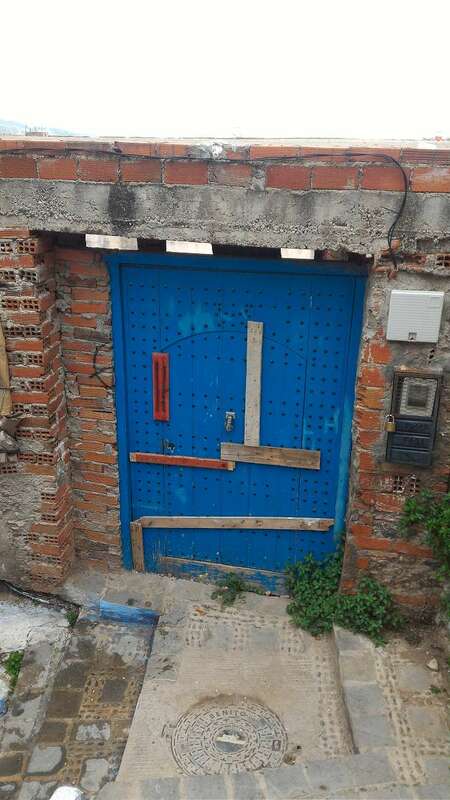 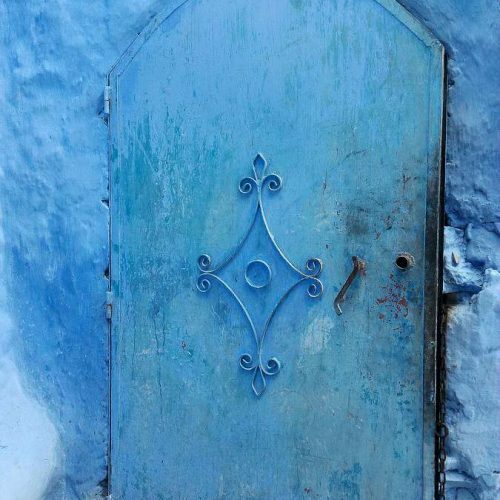 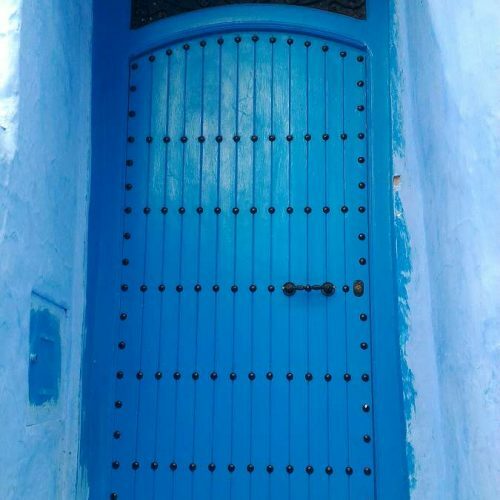 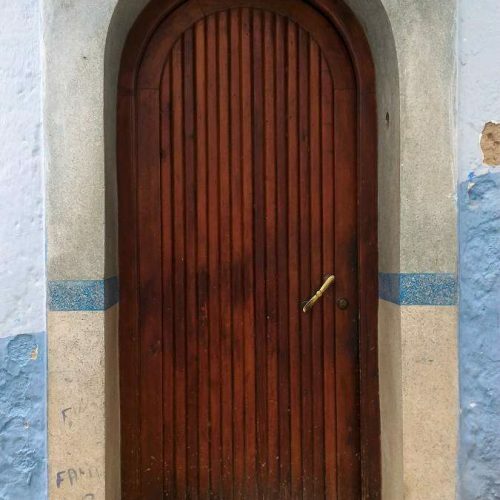 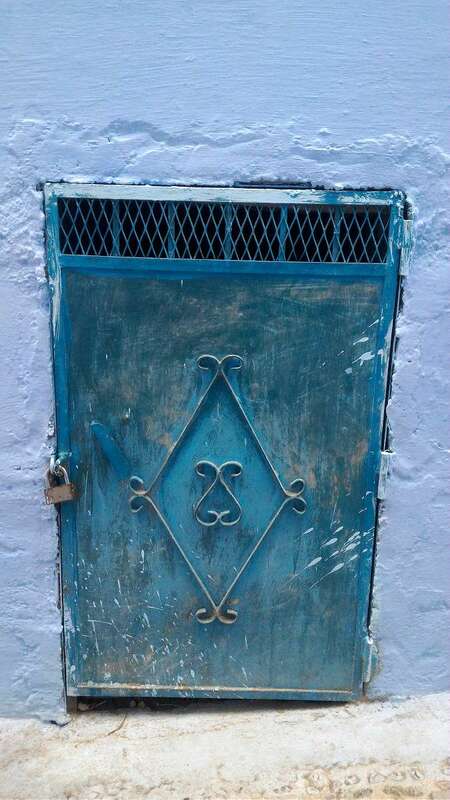 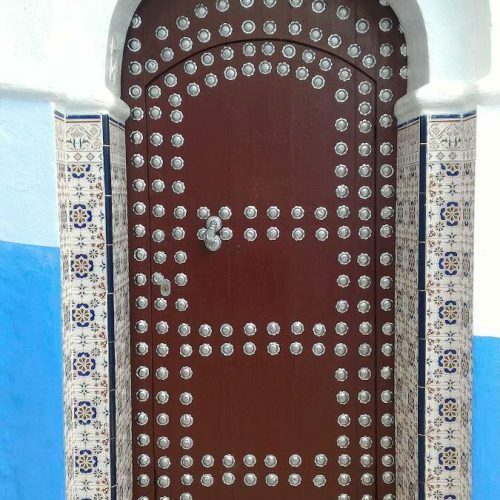 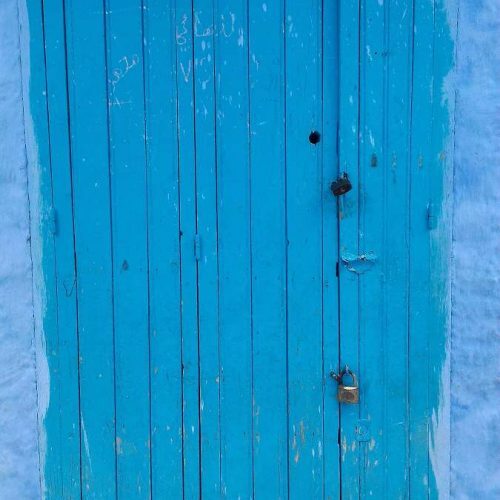 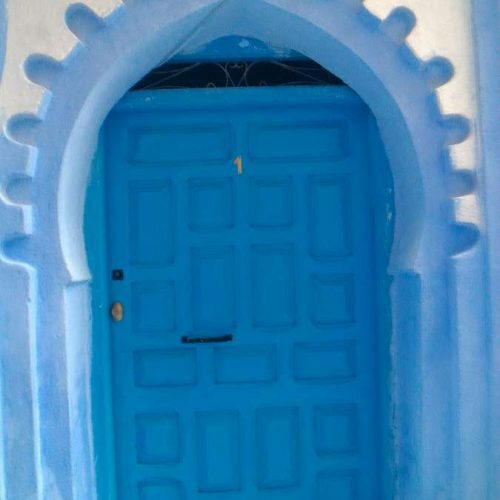 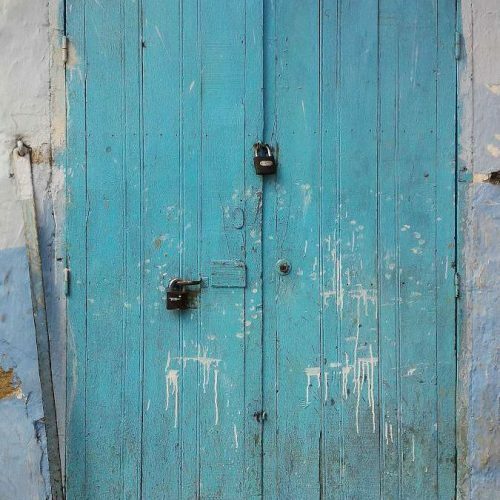 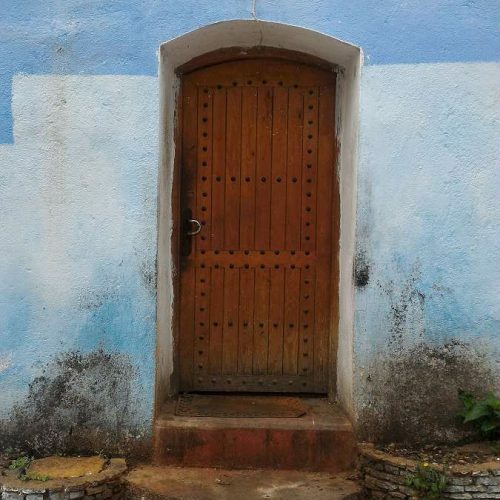 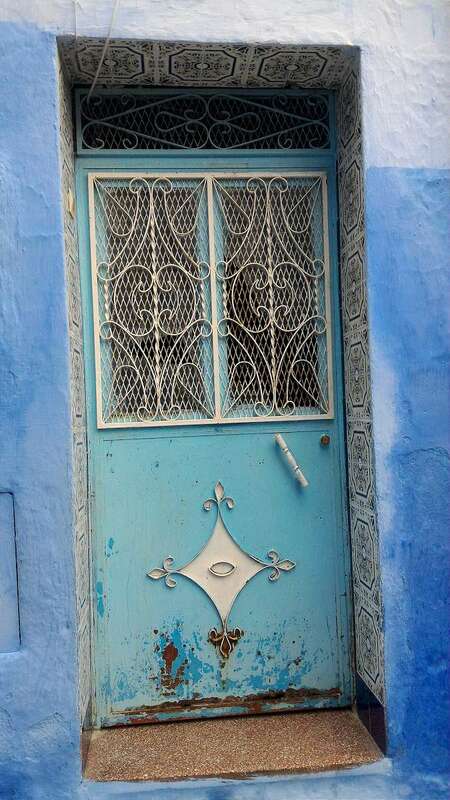 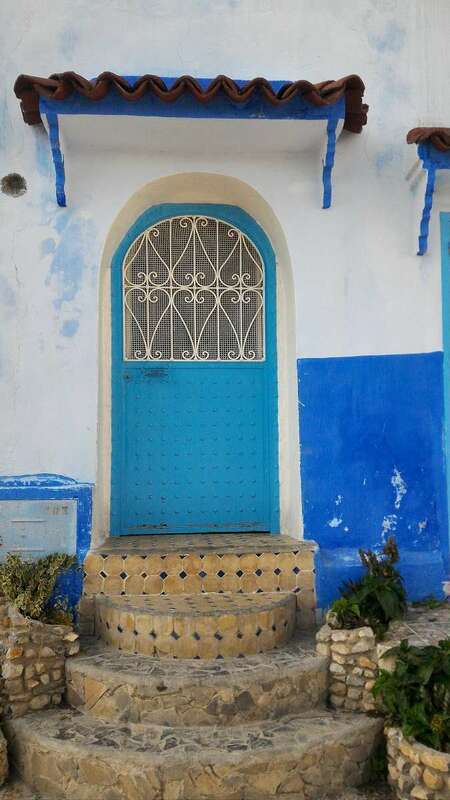 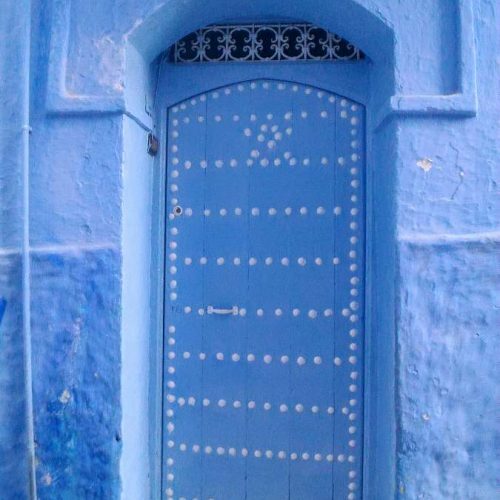 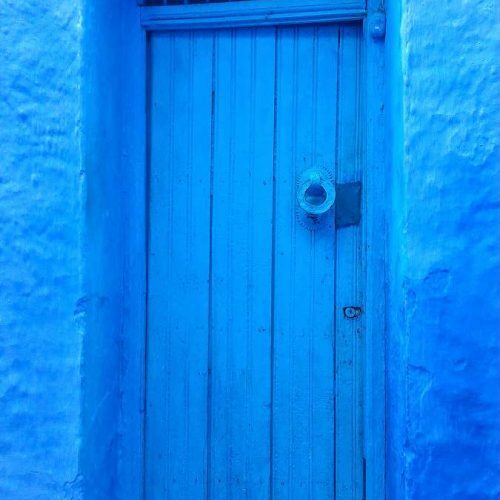 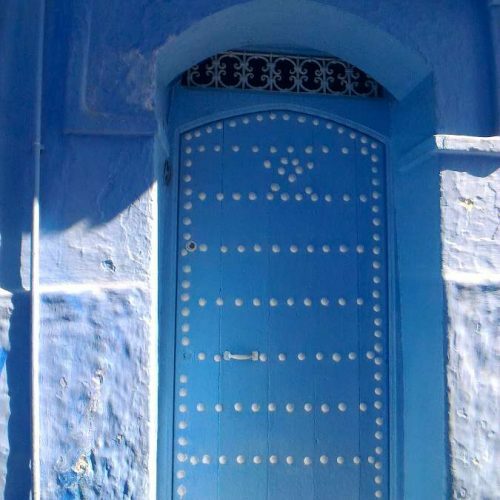 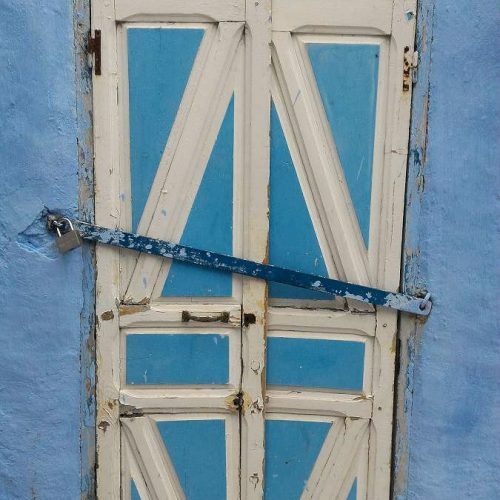 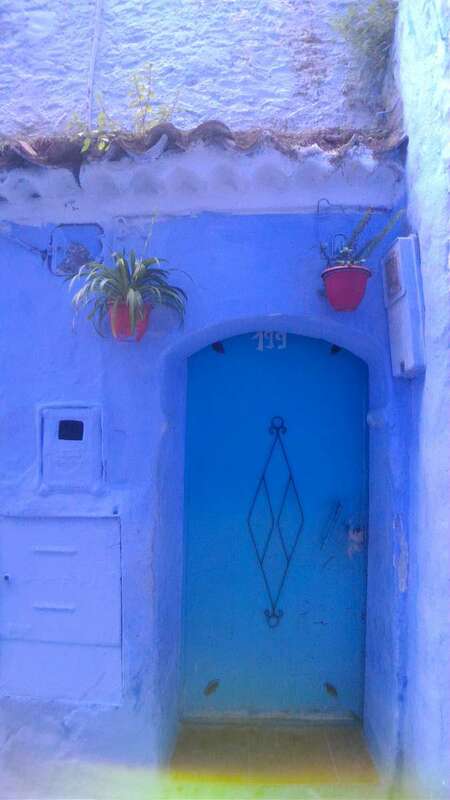 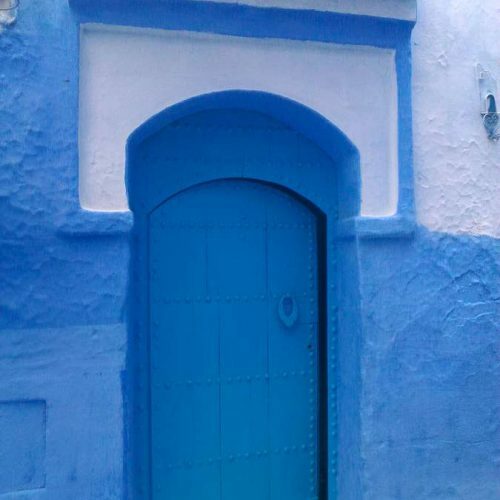 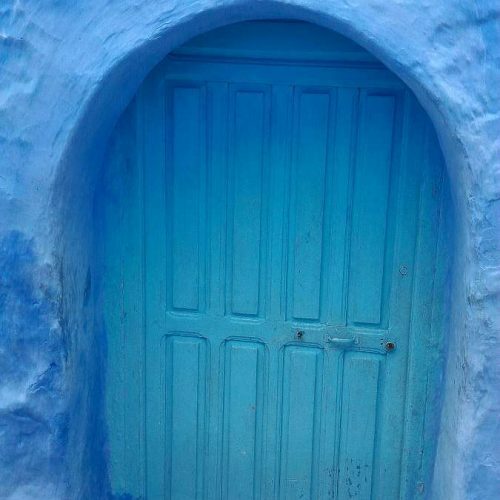 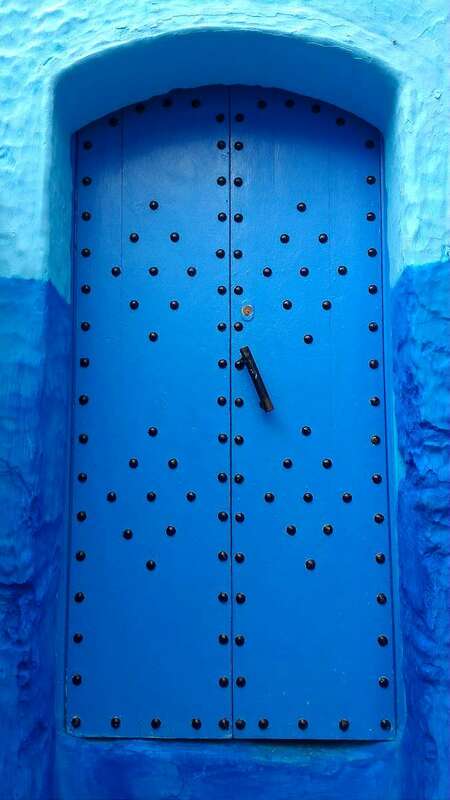 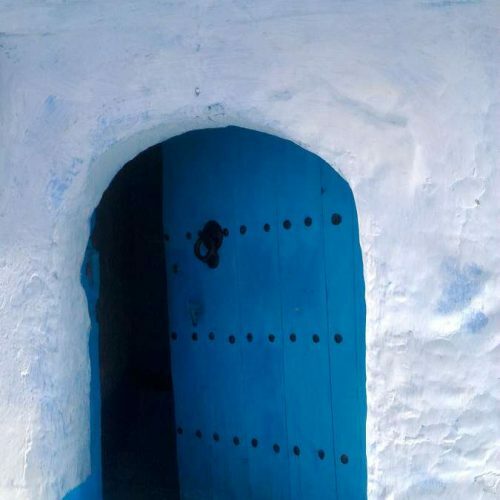 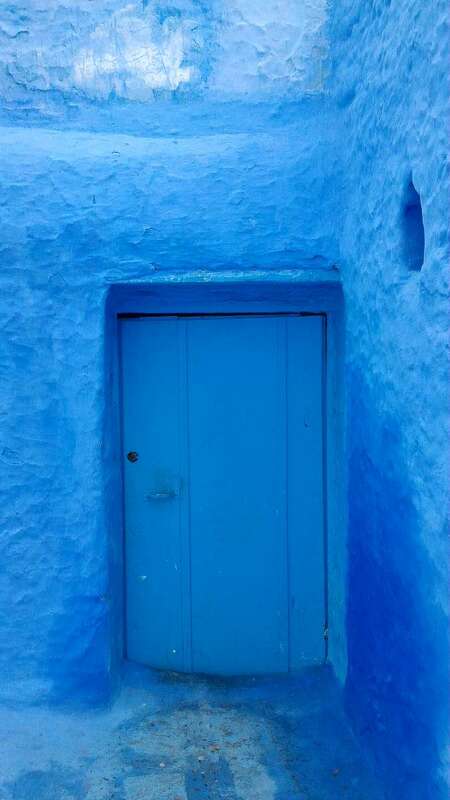 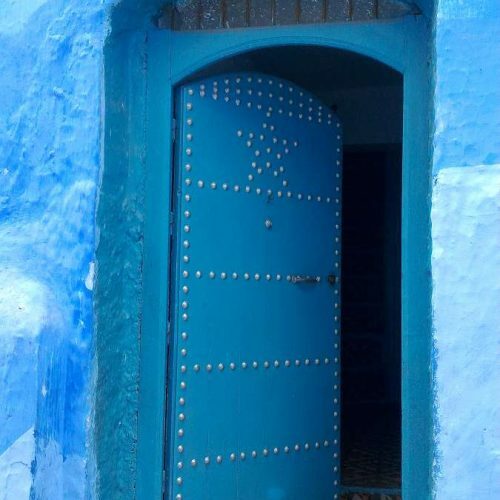 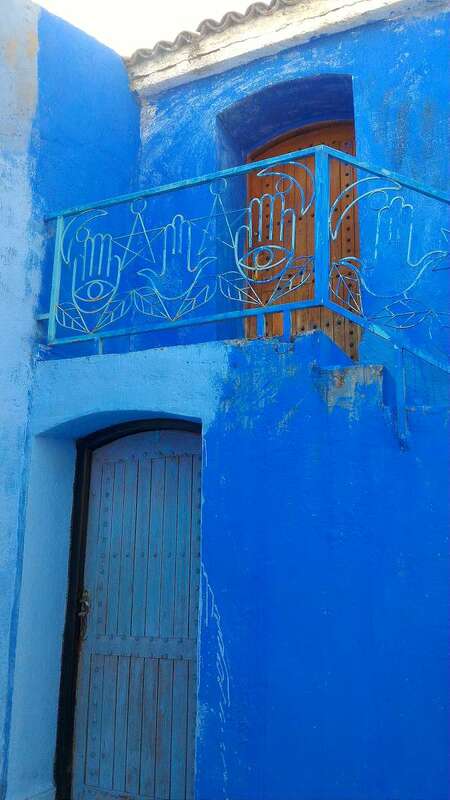 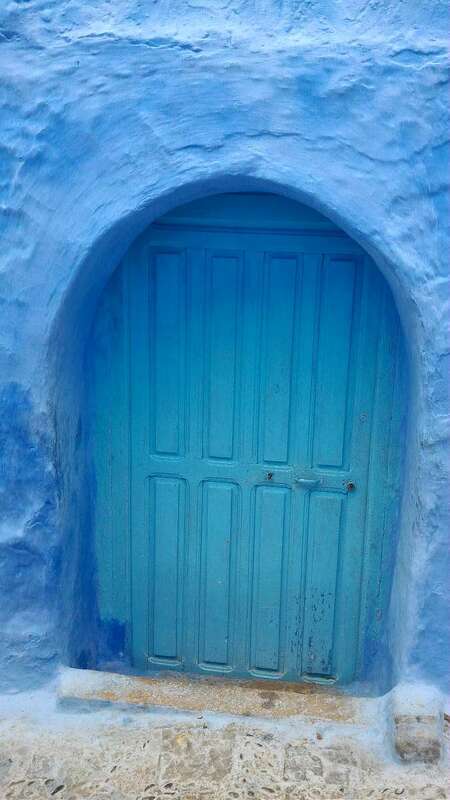 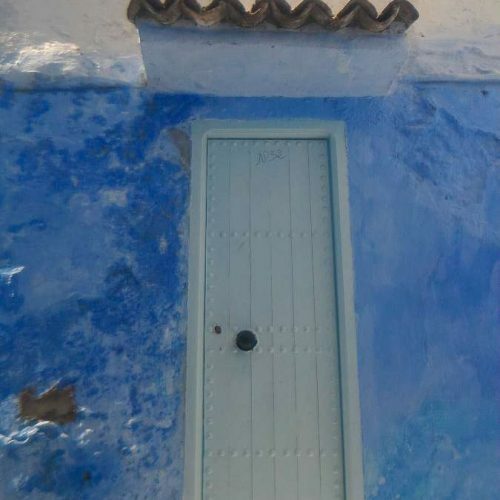 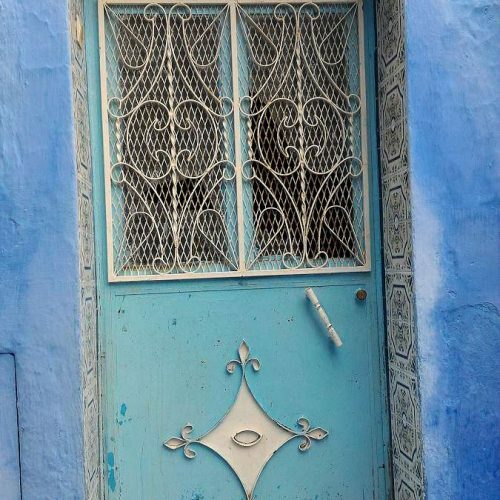 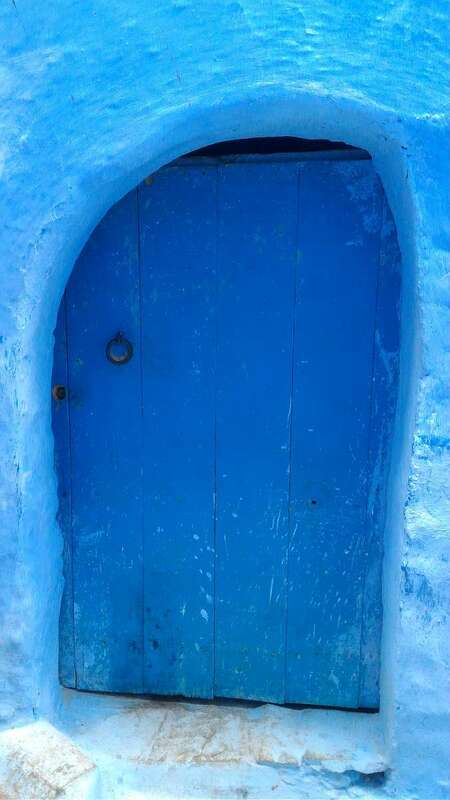 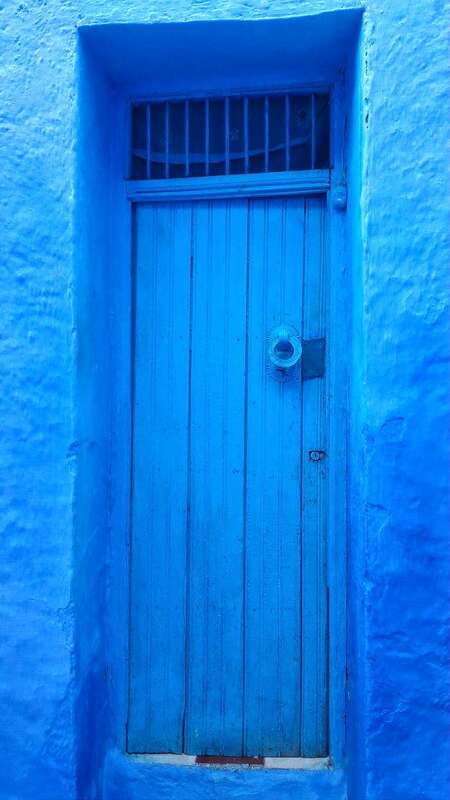 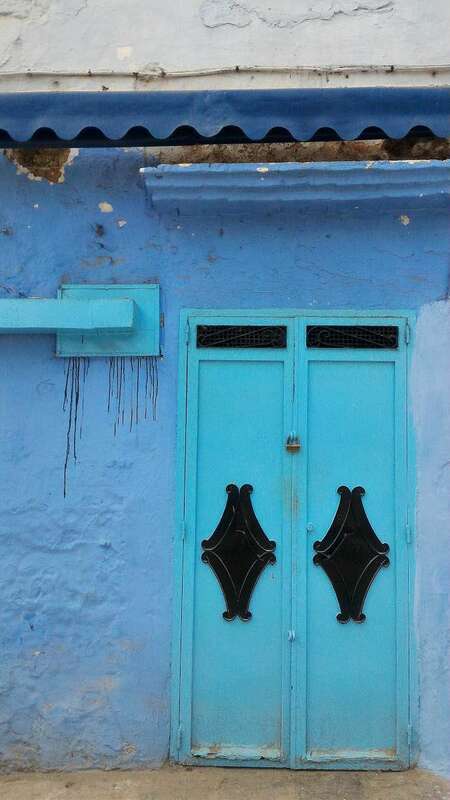 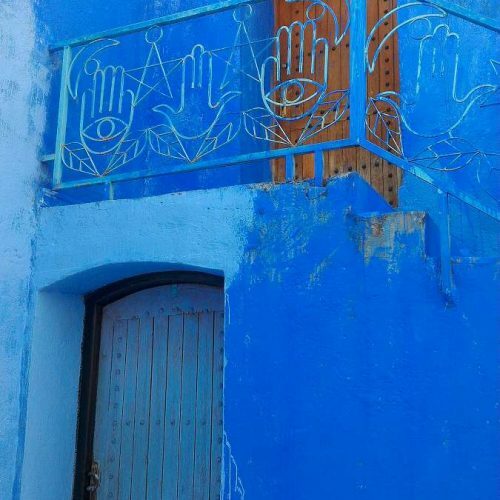 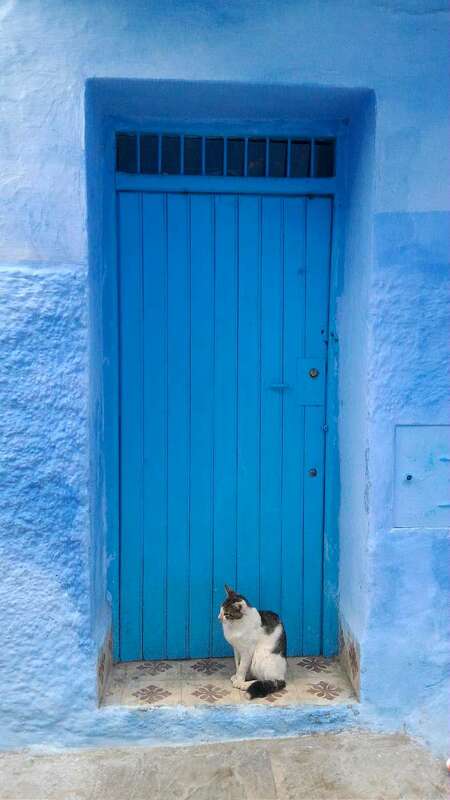 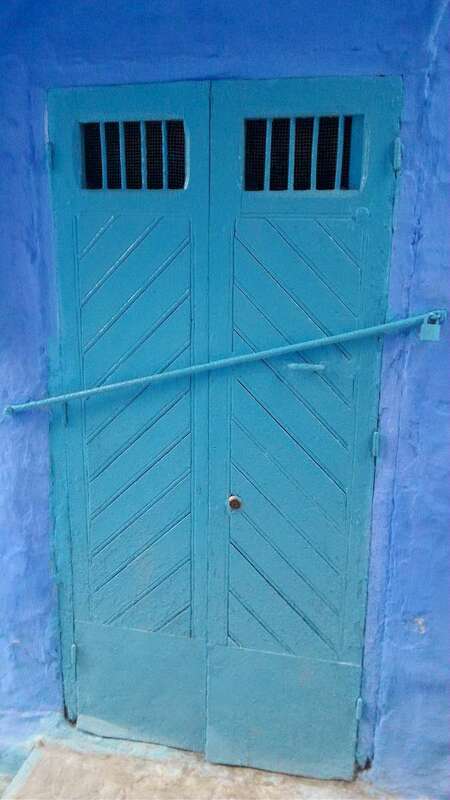 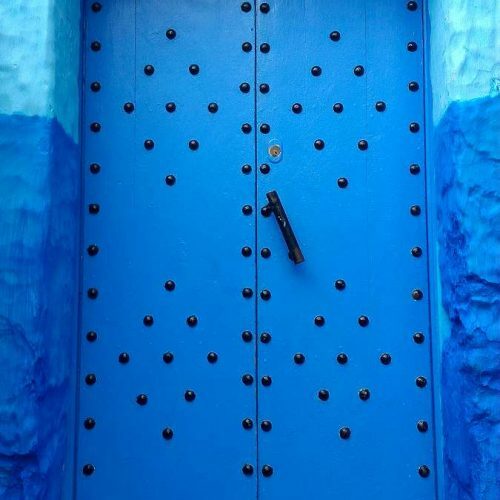 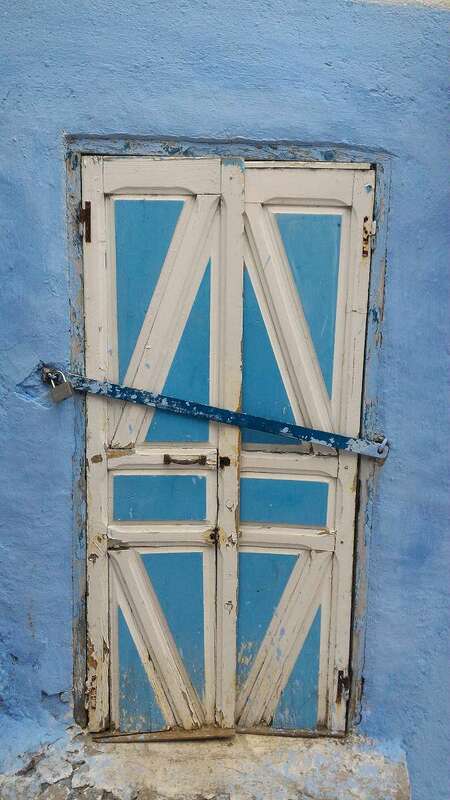 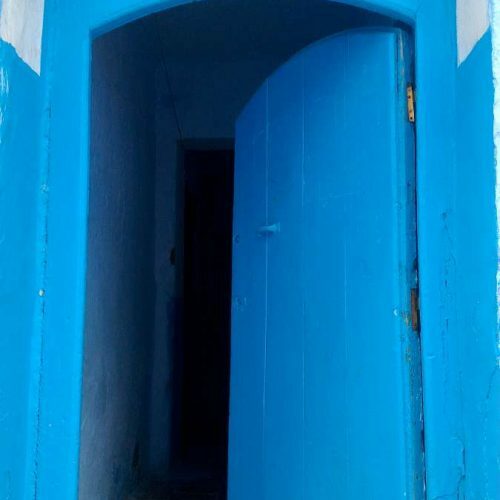 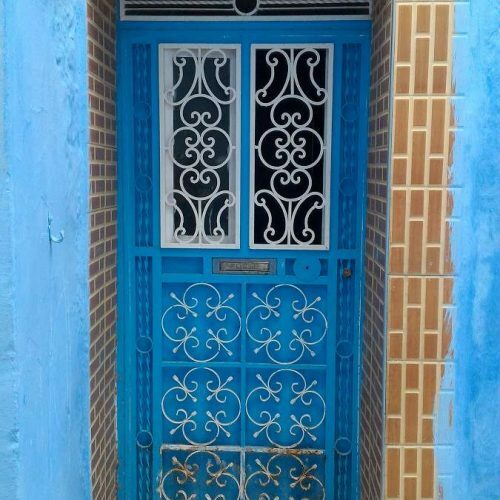 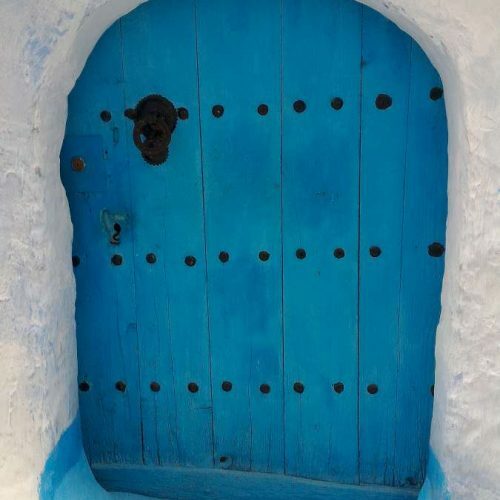 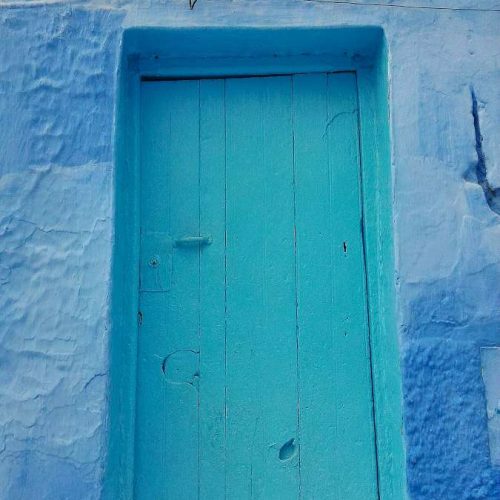 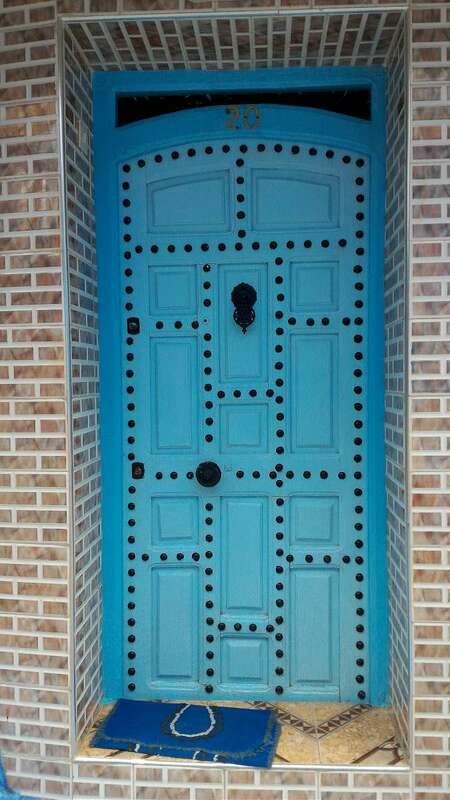 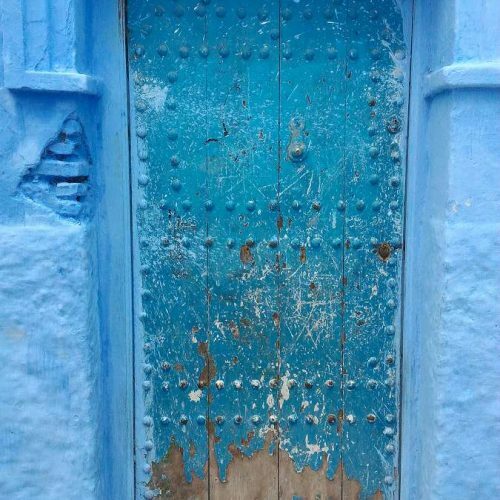 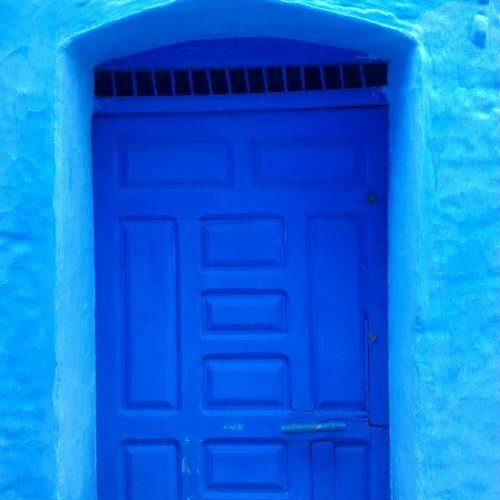 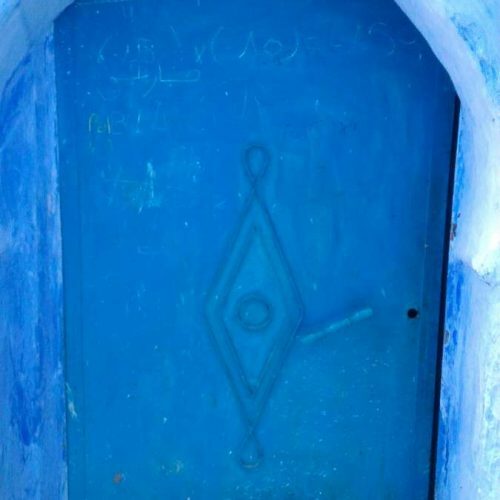 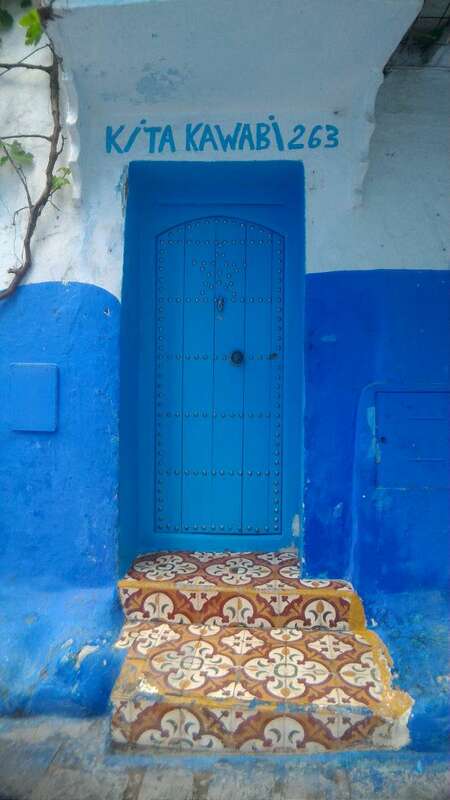 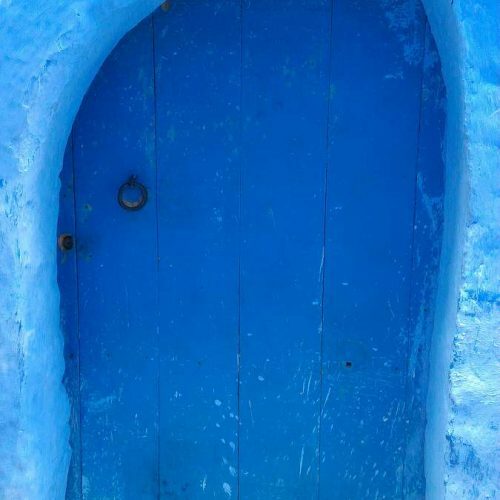 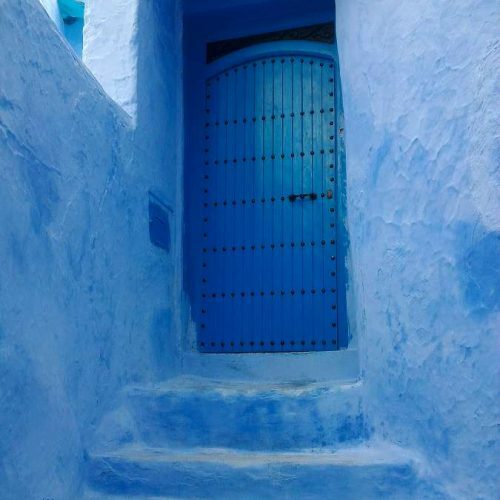 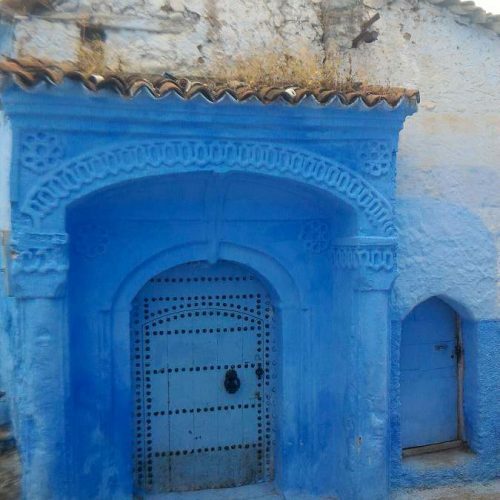 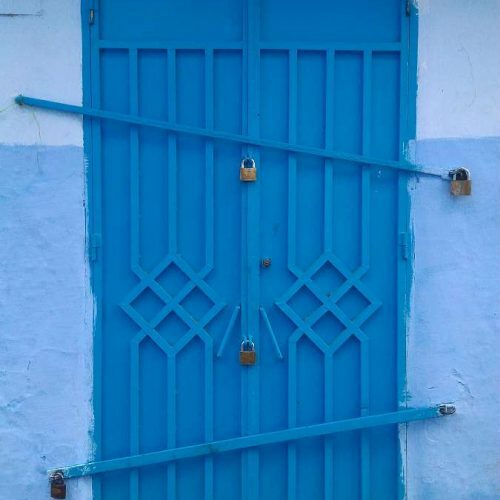 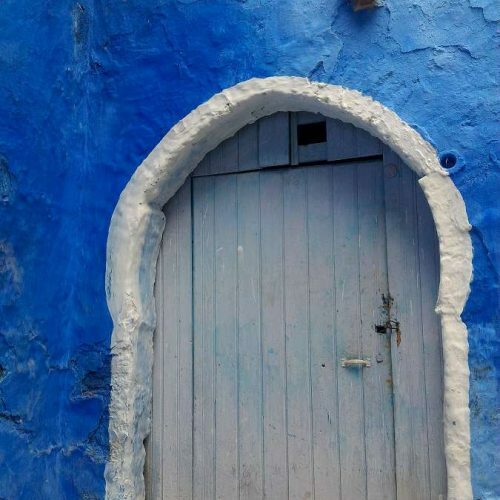 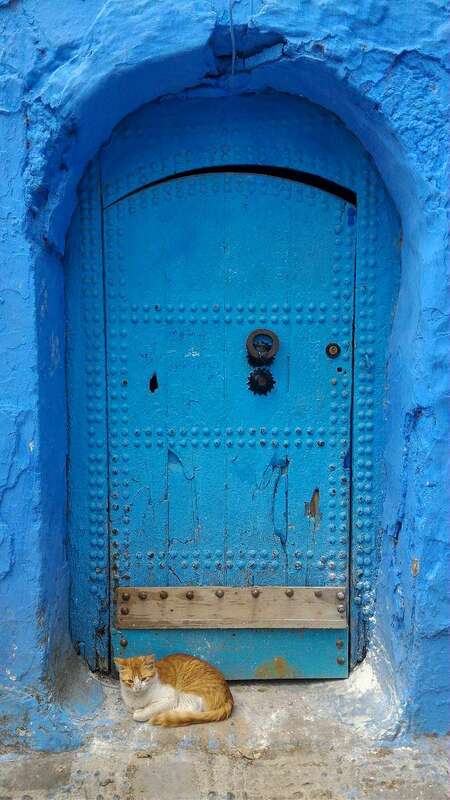 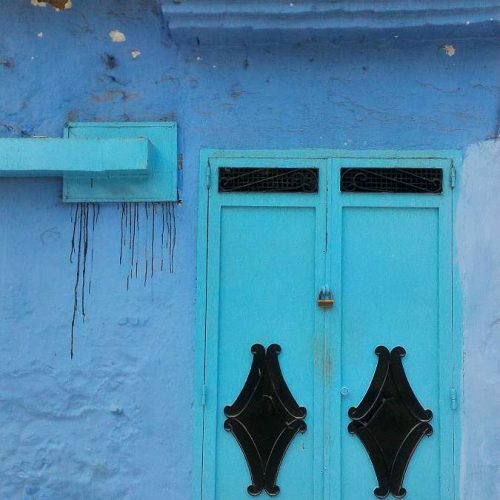 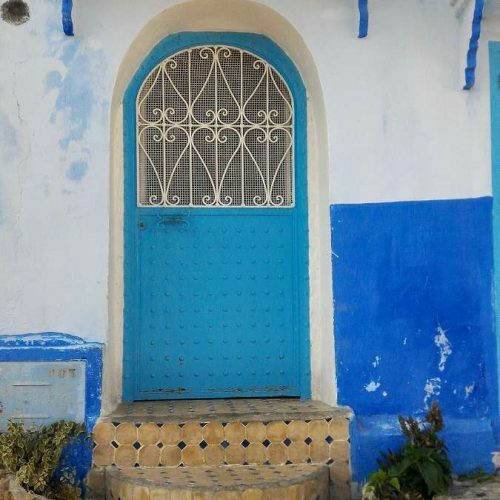 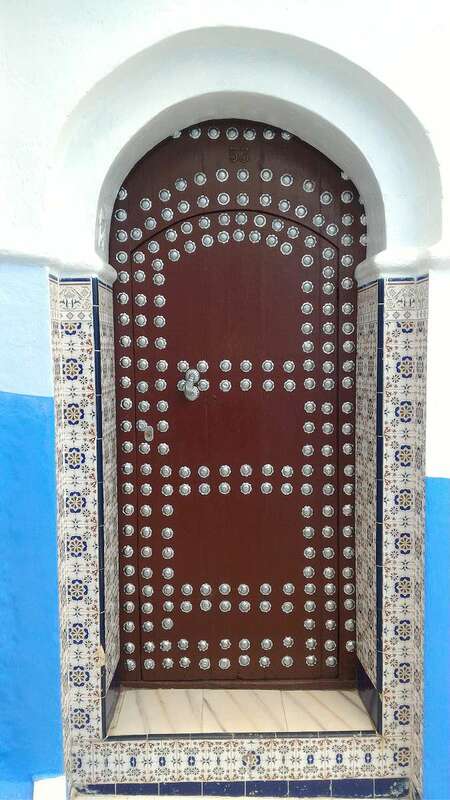 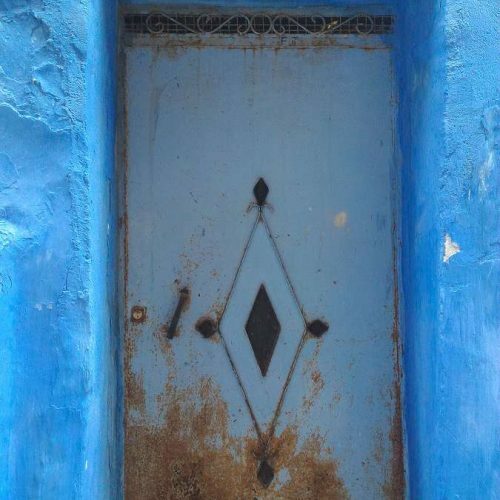 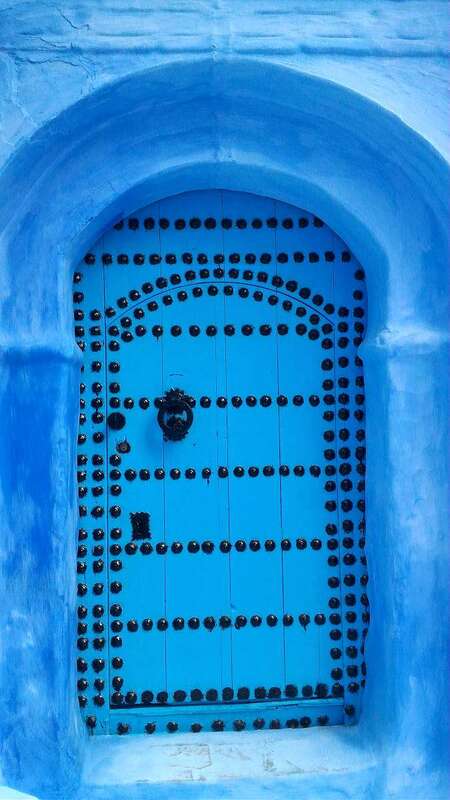 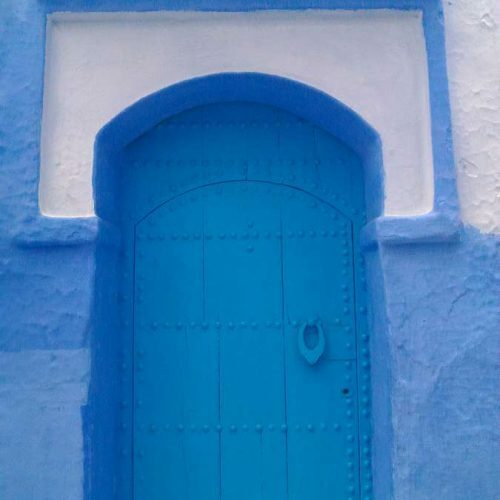 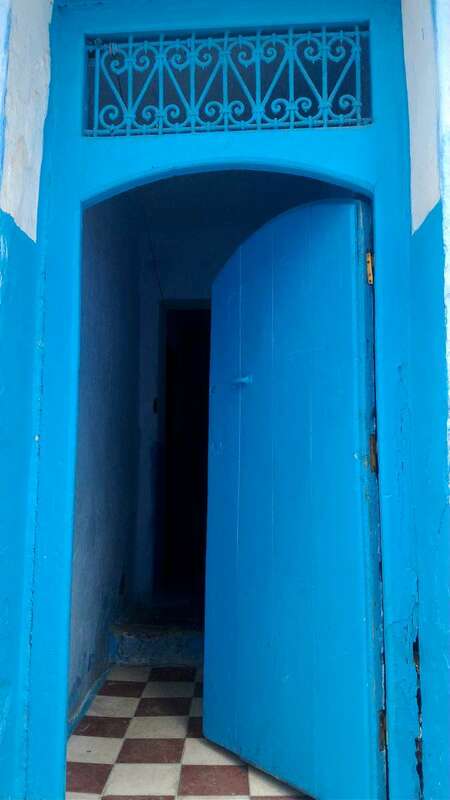 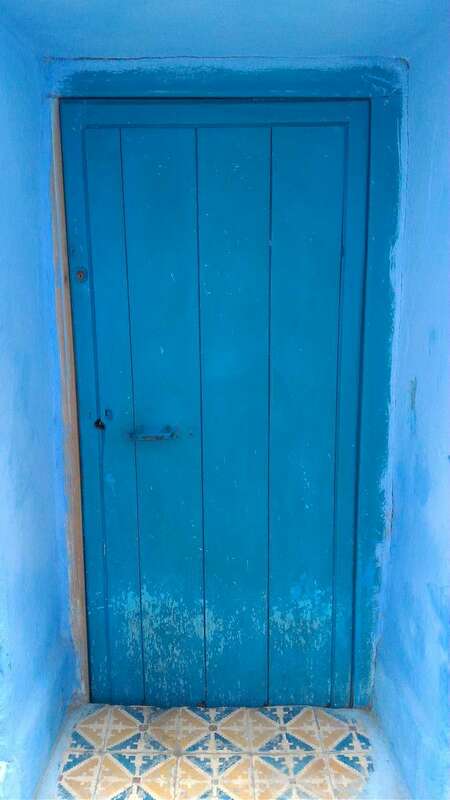 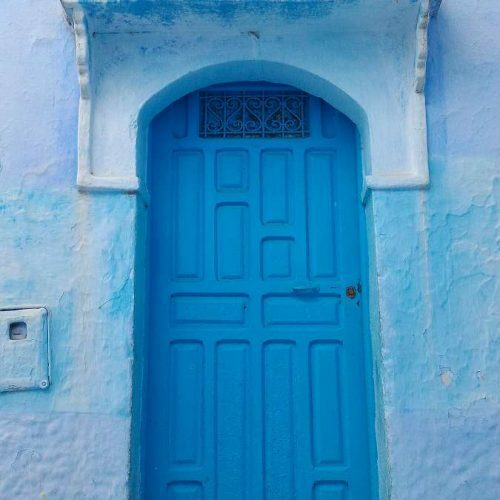 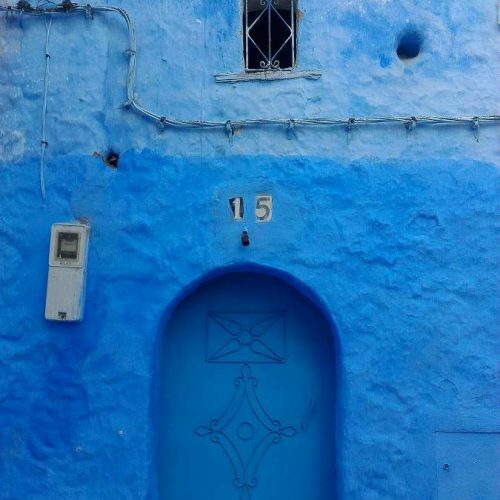 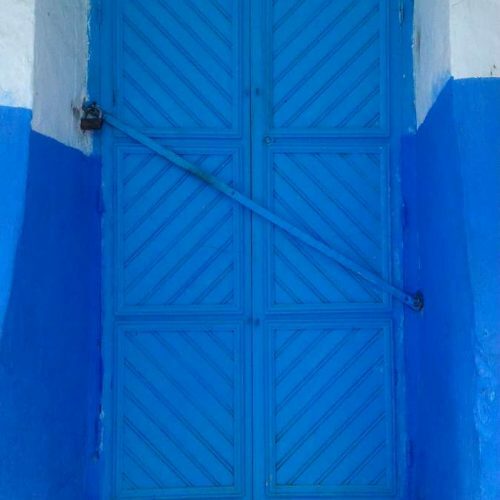 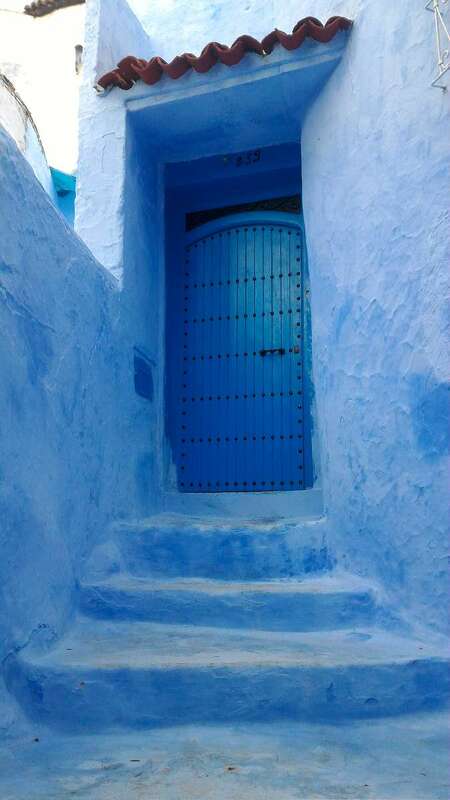 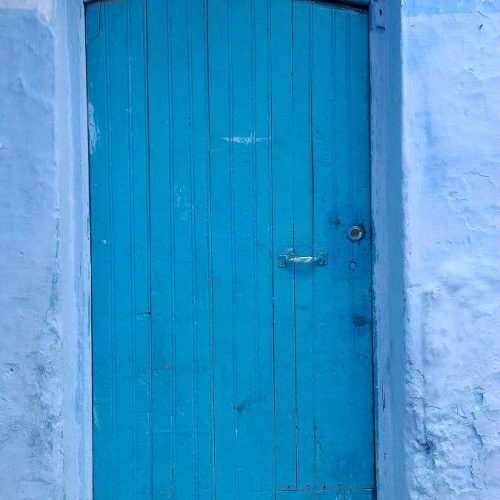 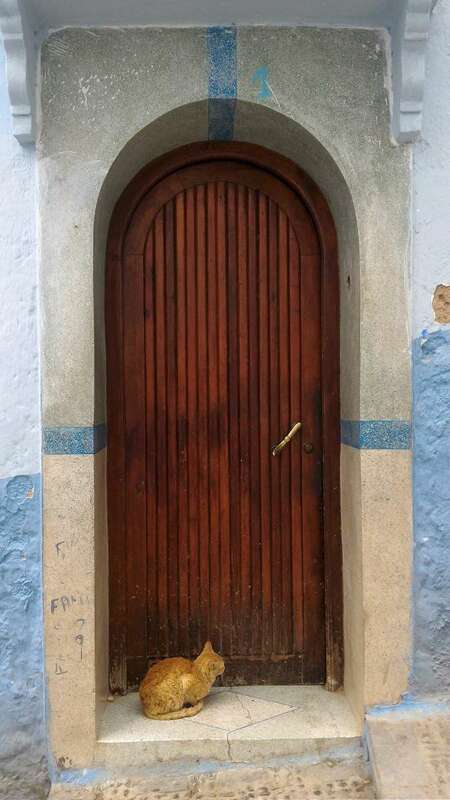 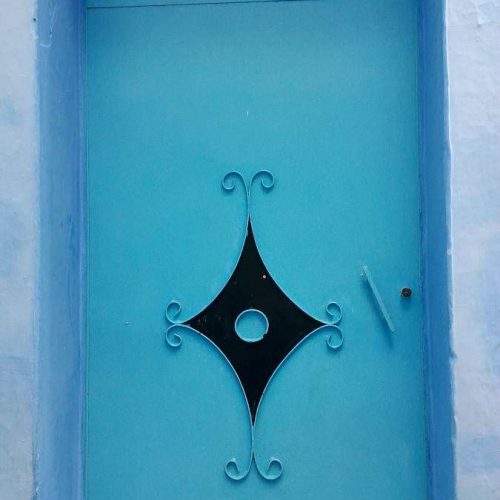 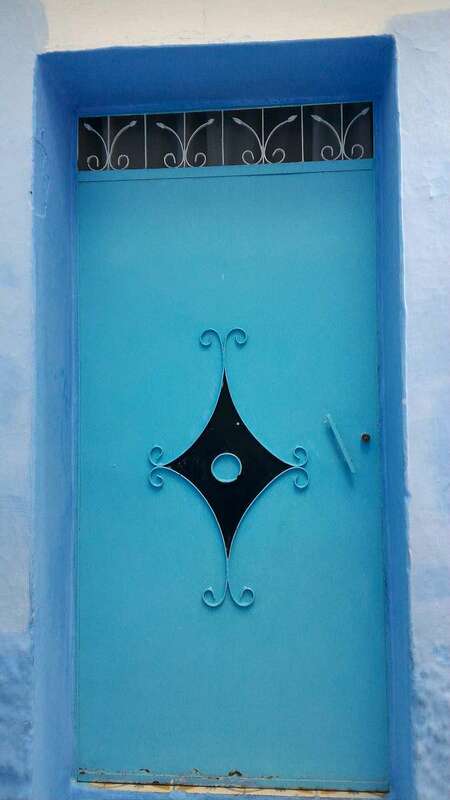 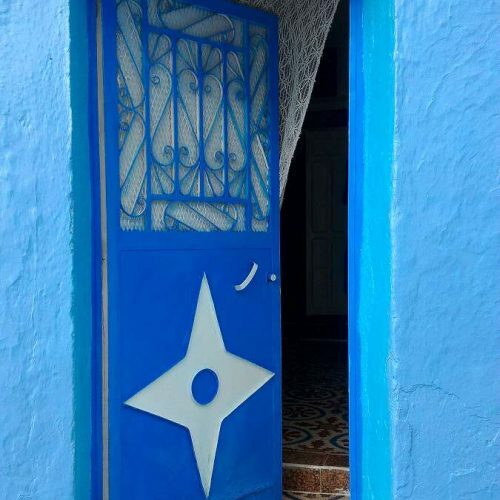 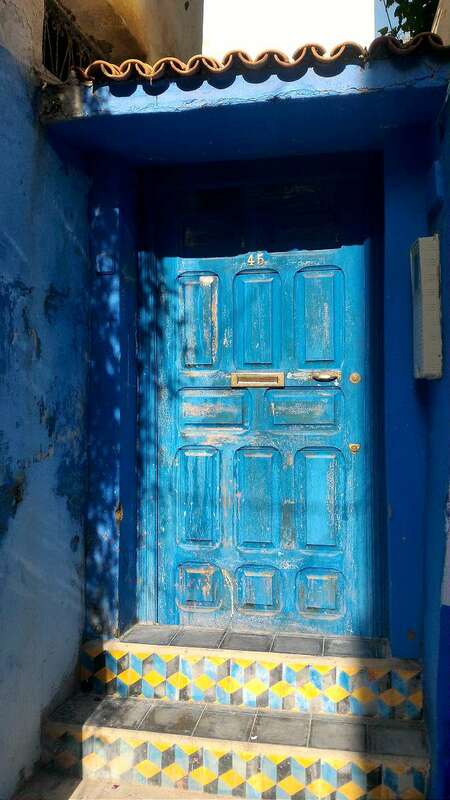 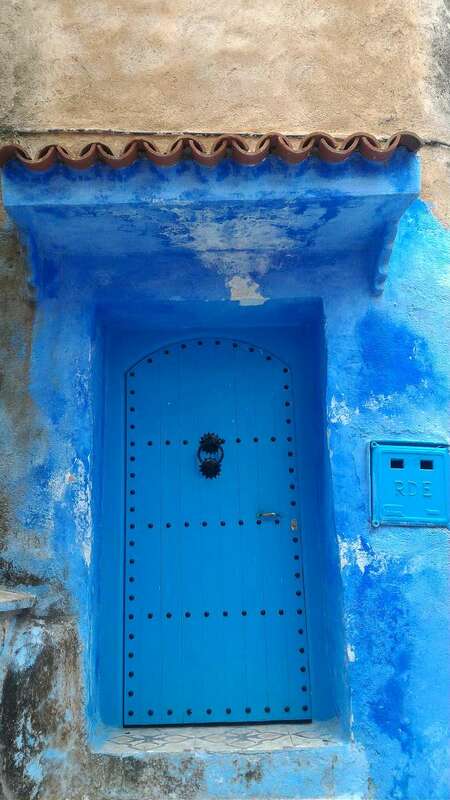 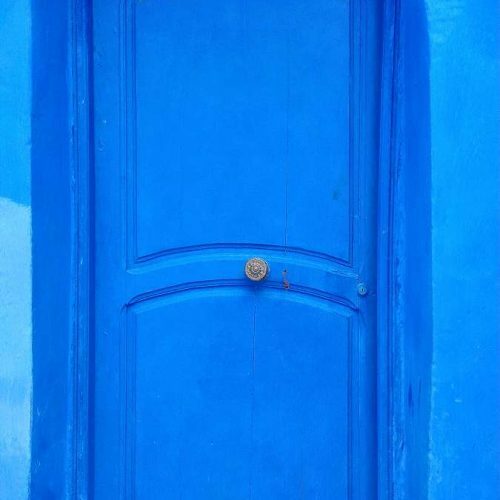 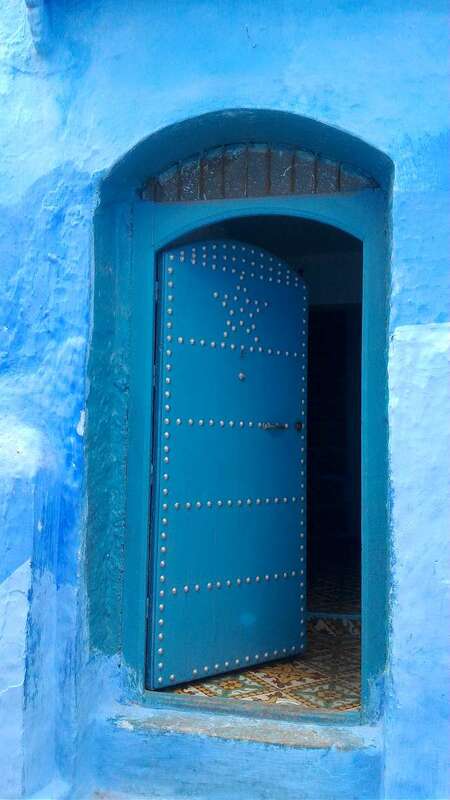 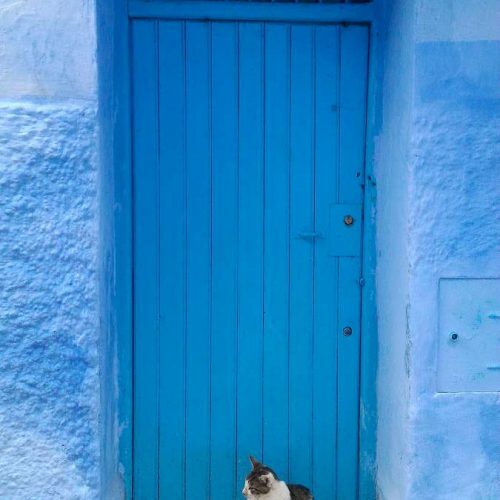 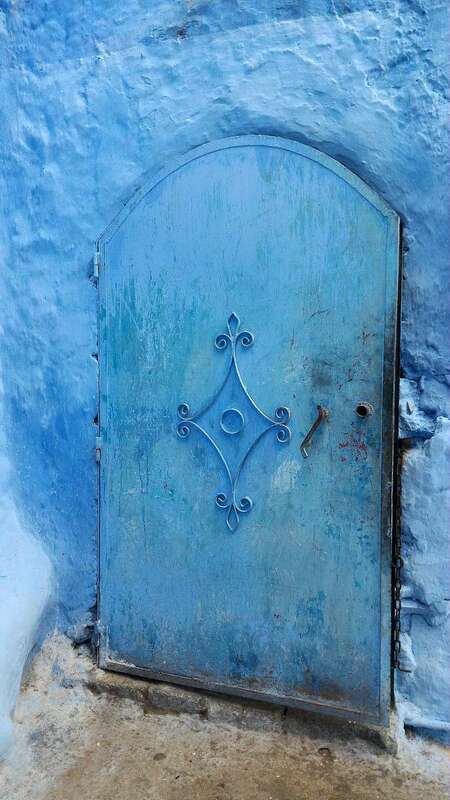 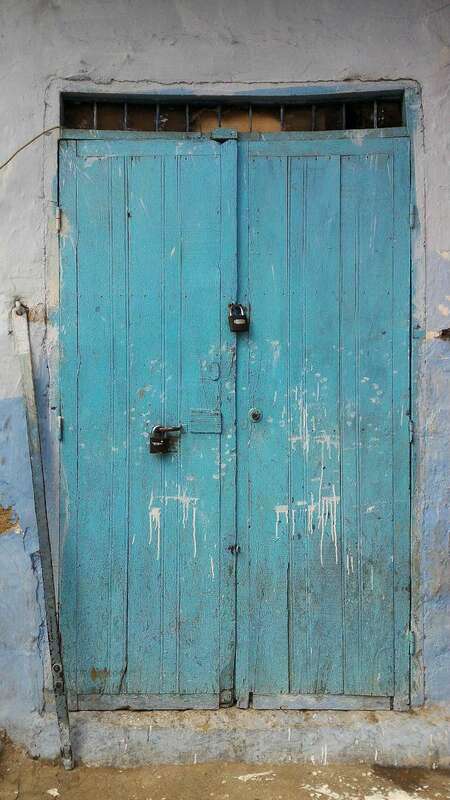 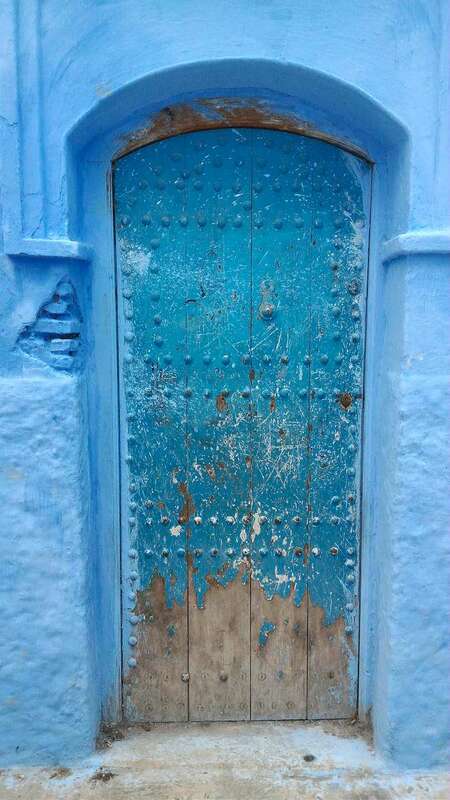 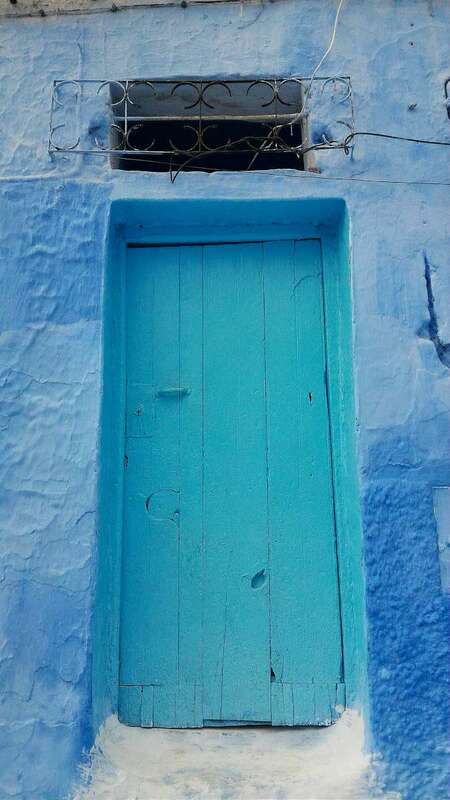 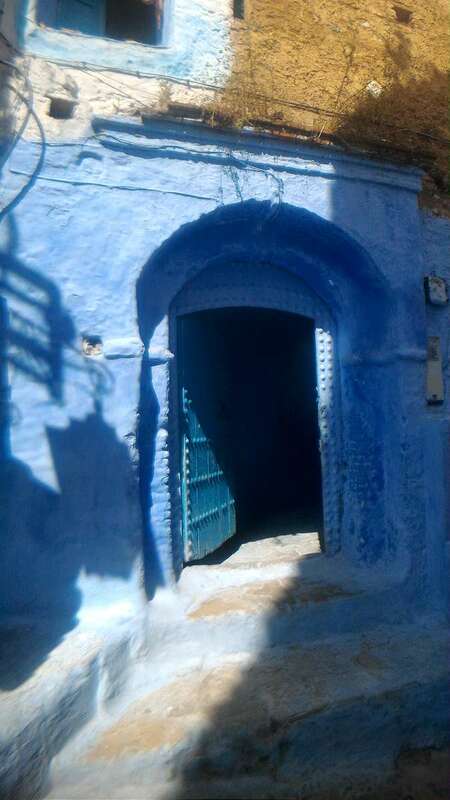 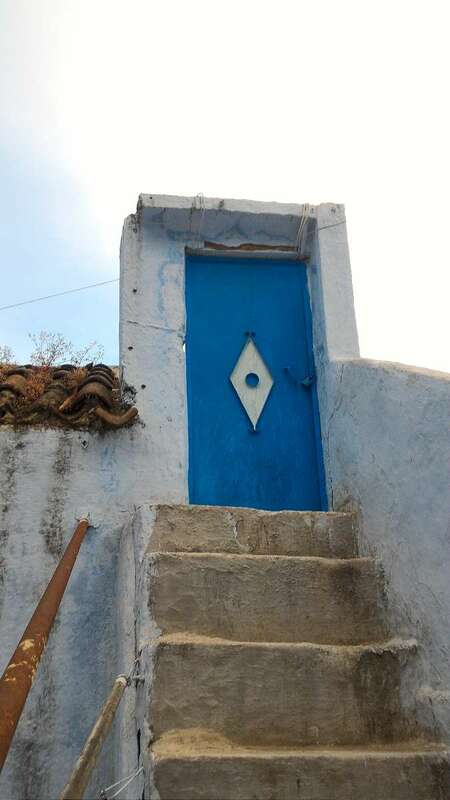 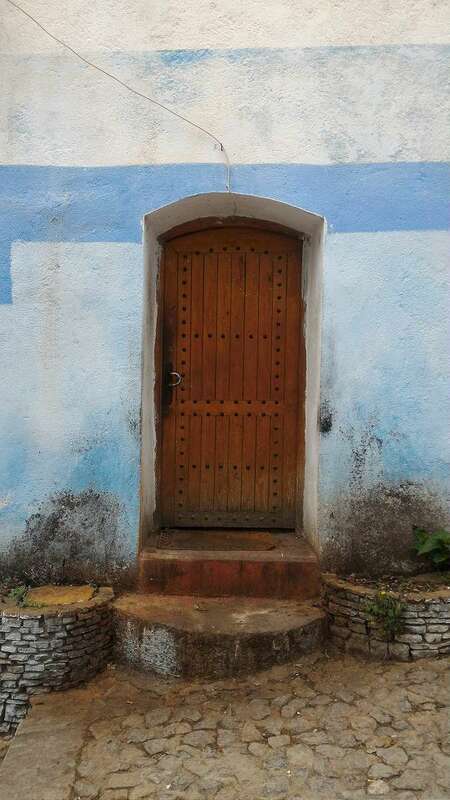 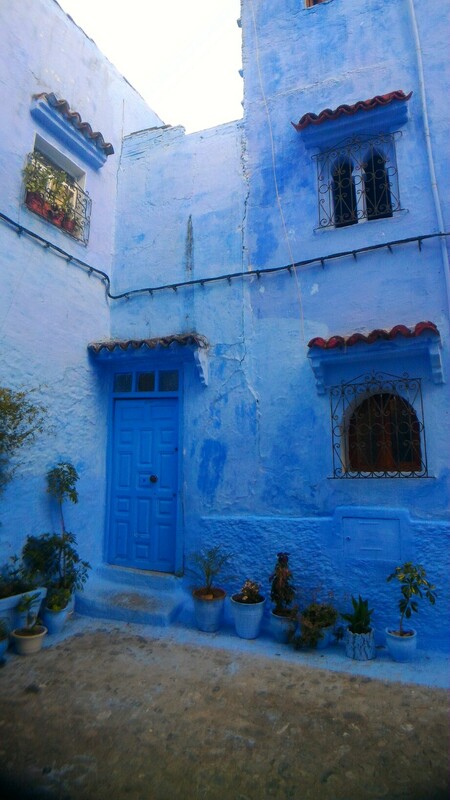 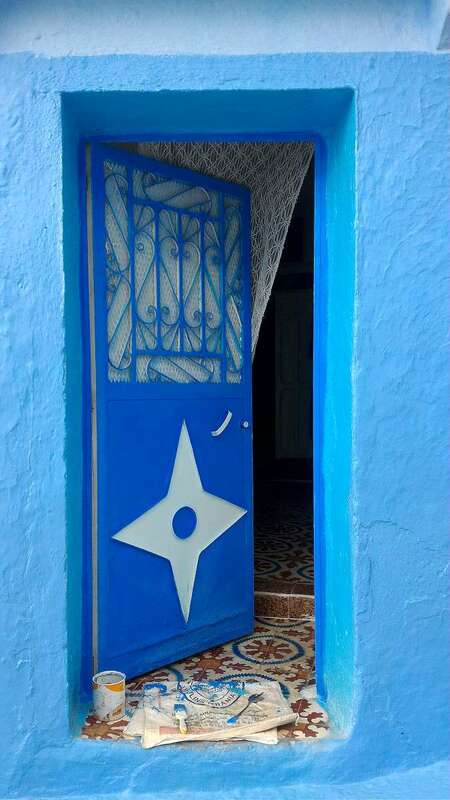 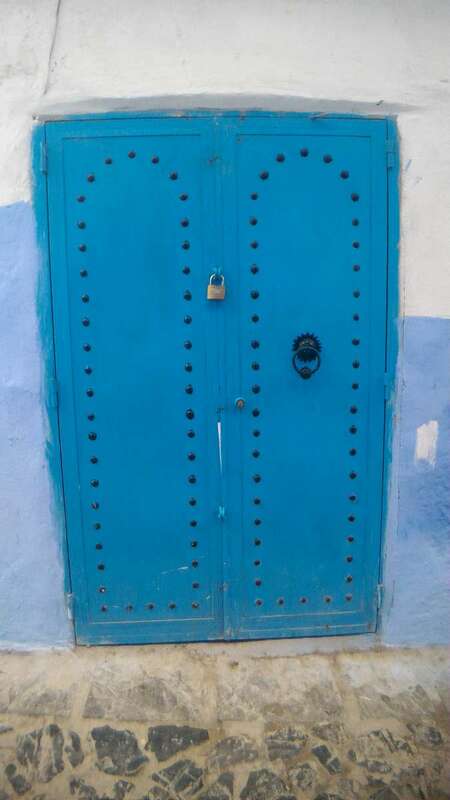 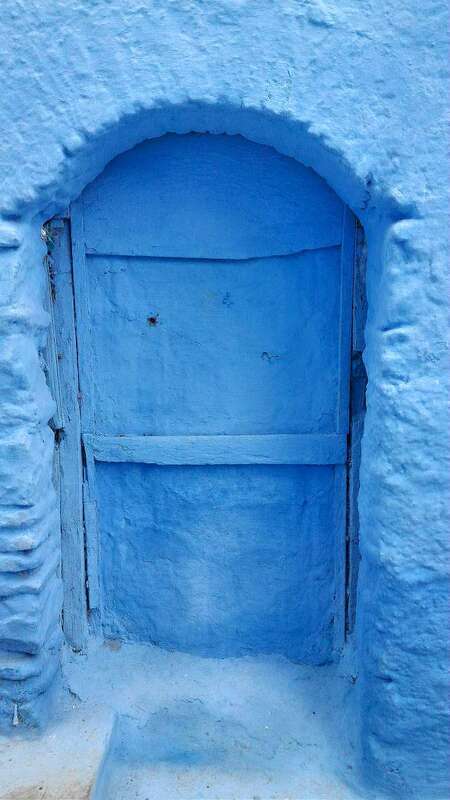 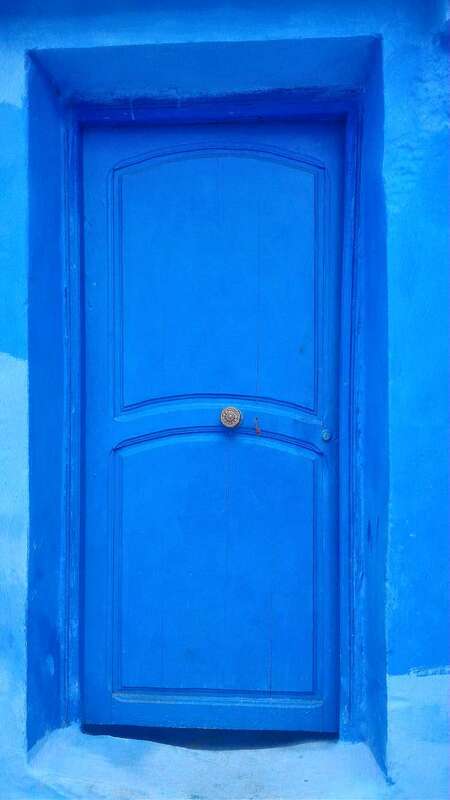 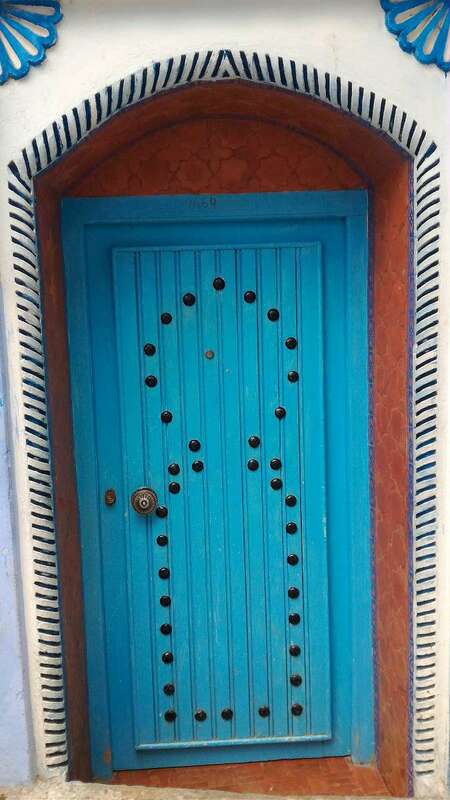 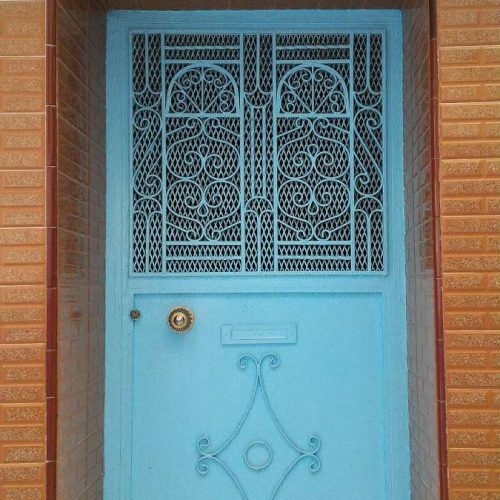 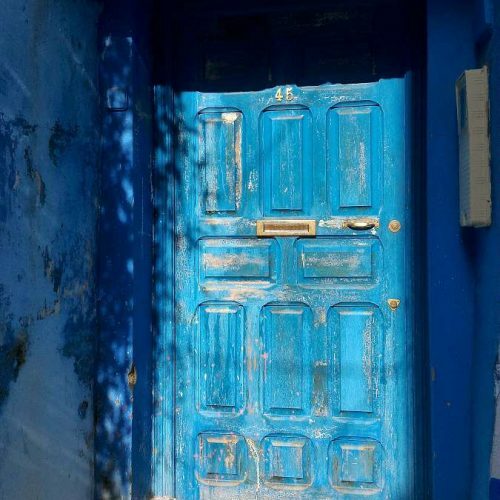 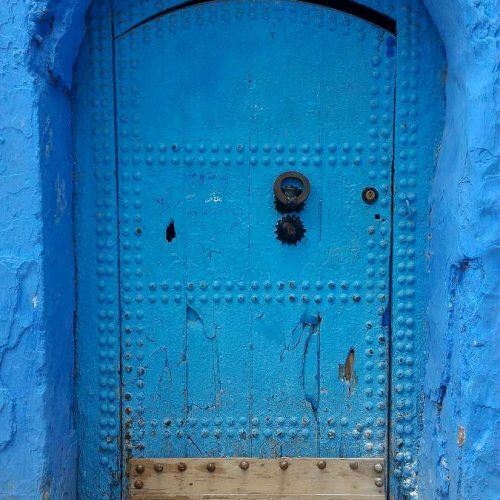 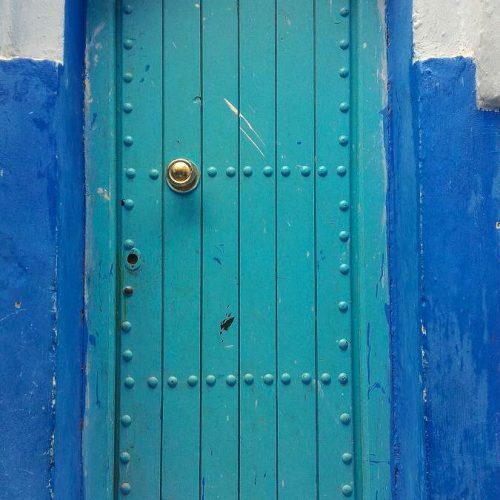 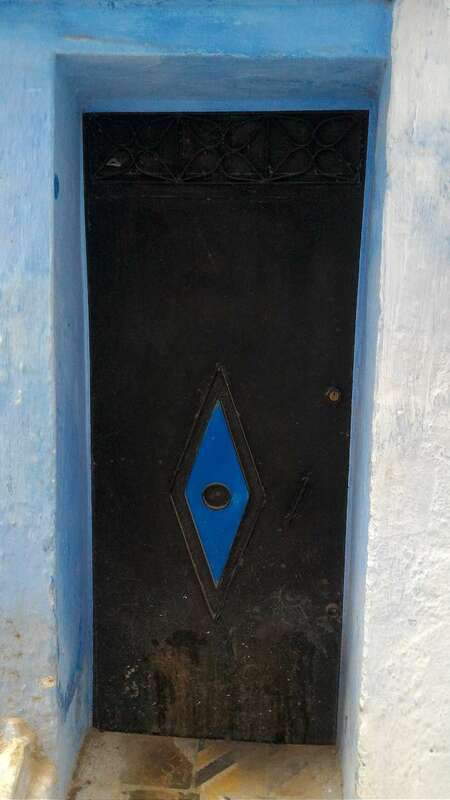 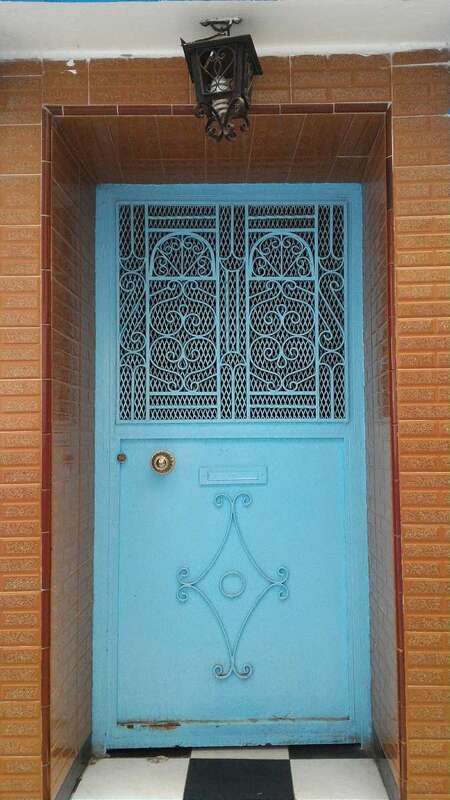 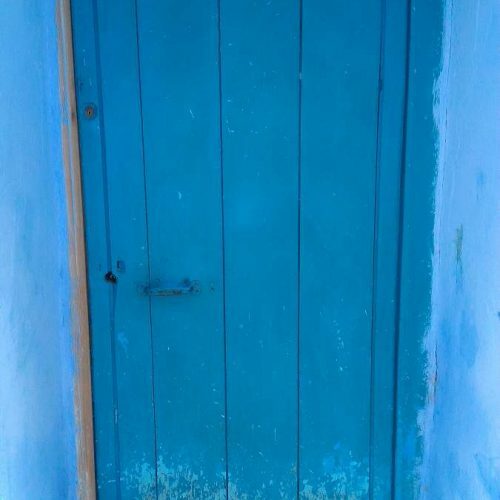 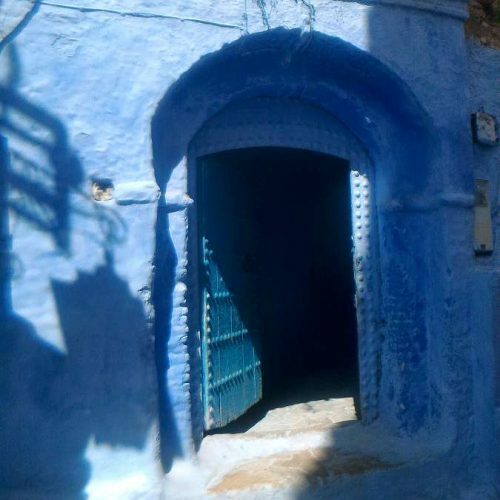 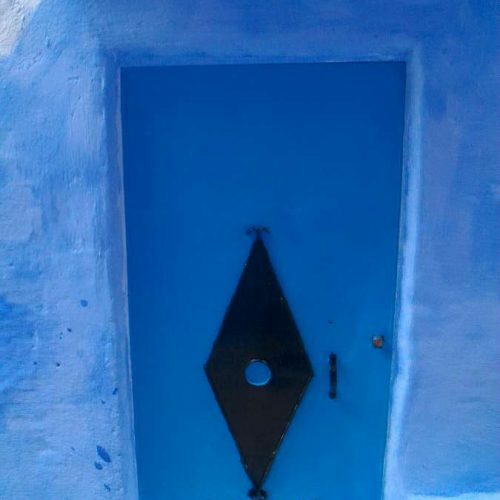 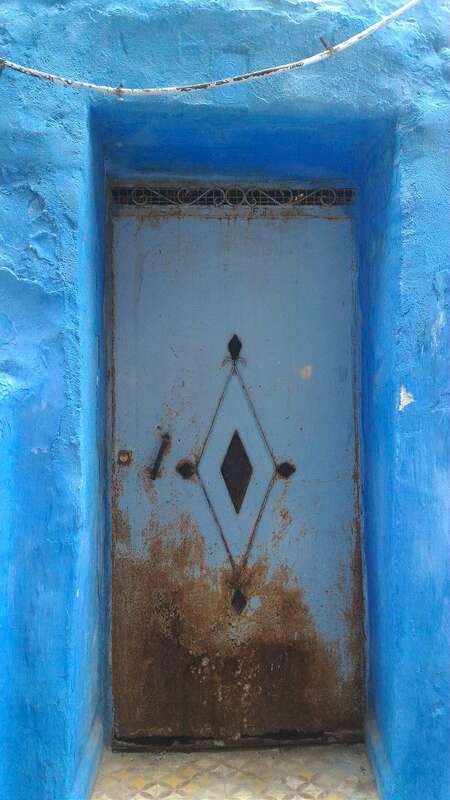 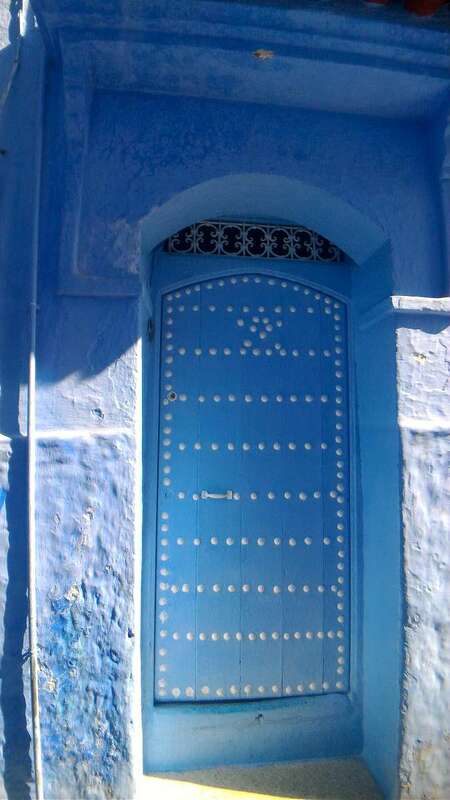 I was a bit obsessed with the doors of Chefchaouen – as you can tell. 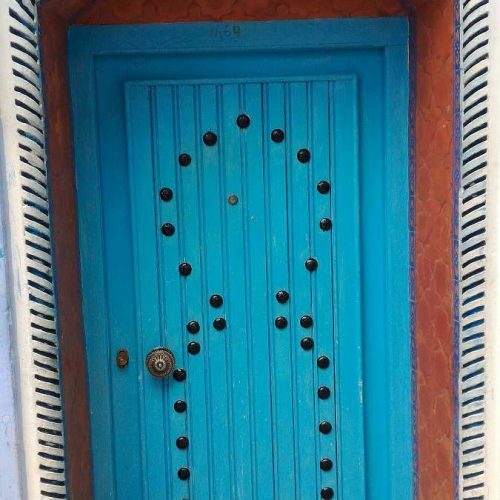 They’re just so amazing and unique!